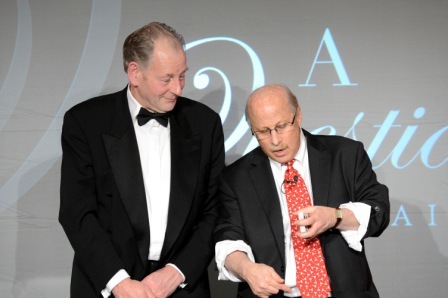 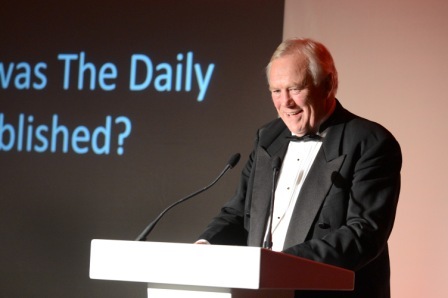 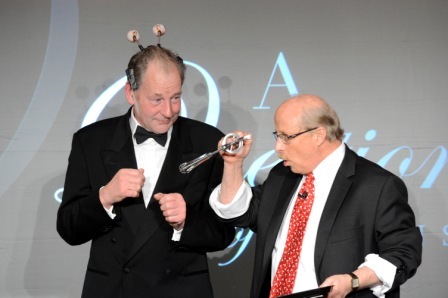 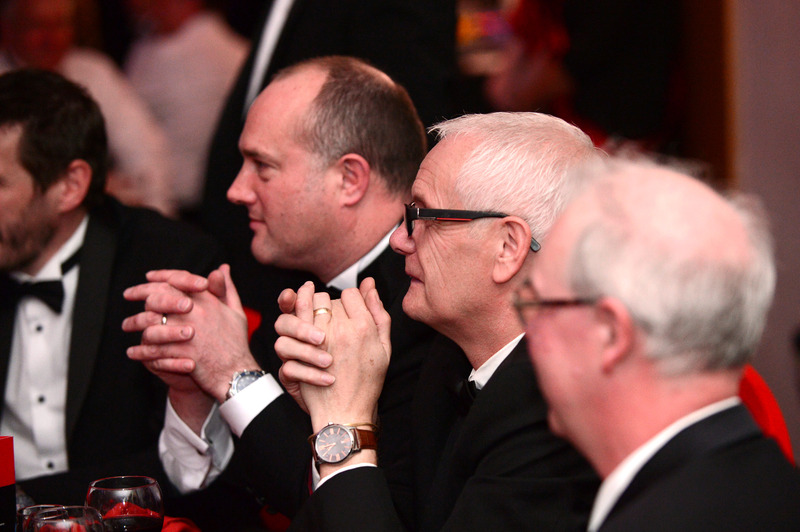 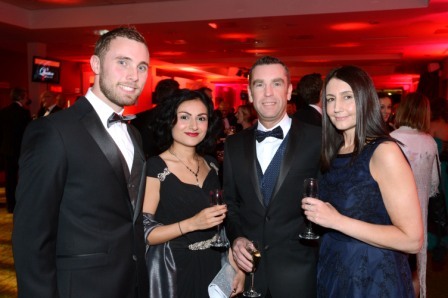 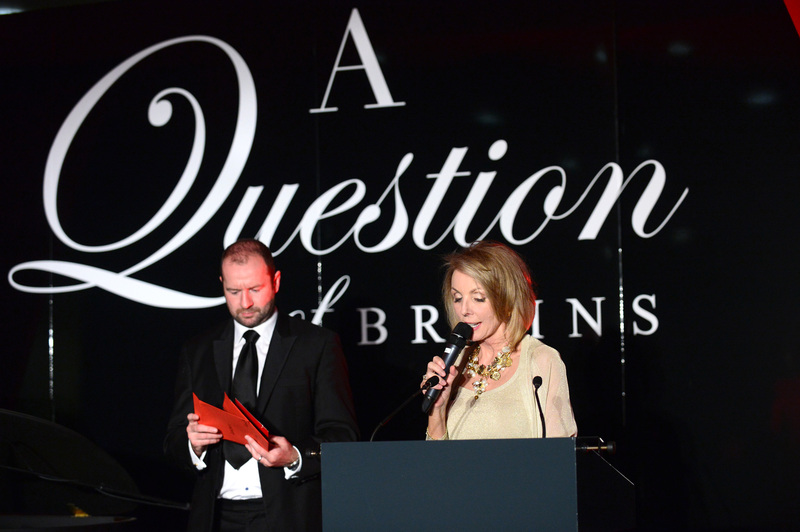 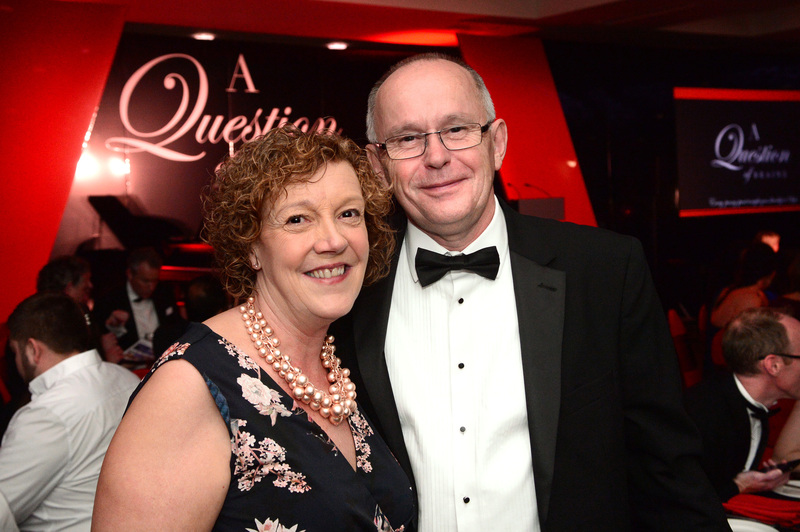 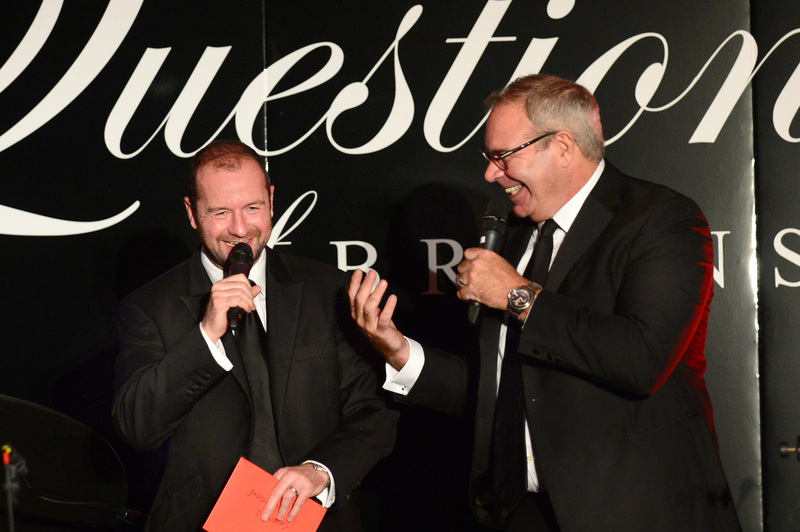 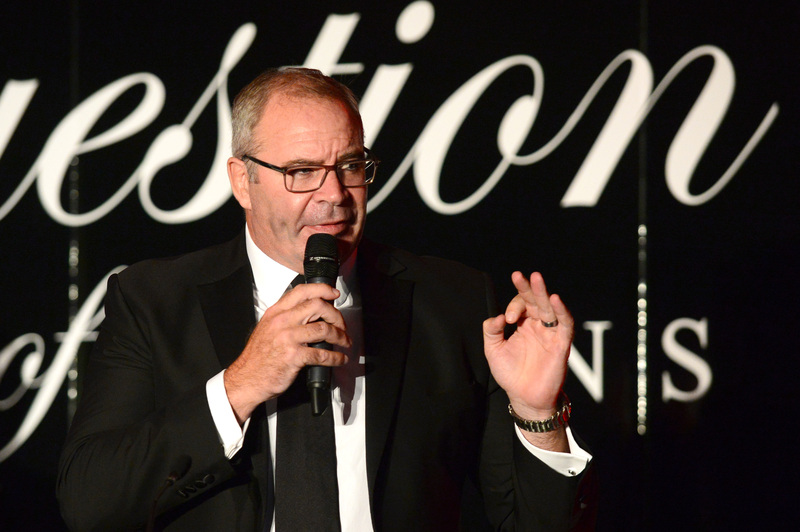 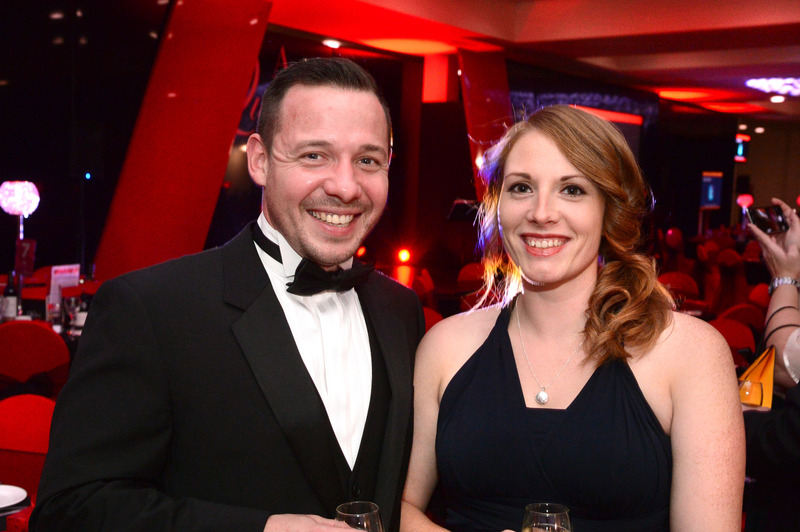 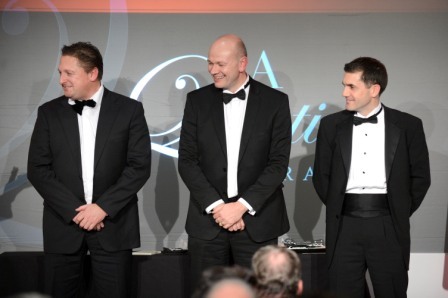 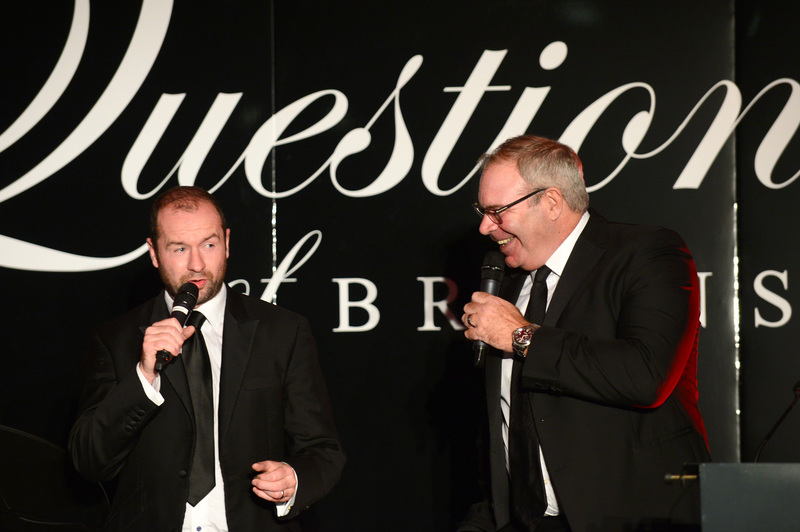 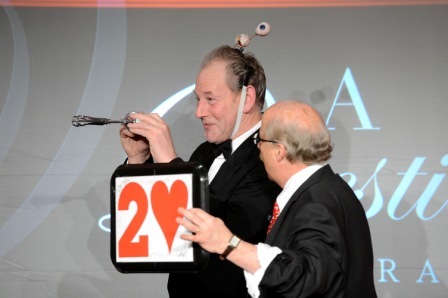 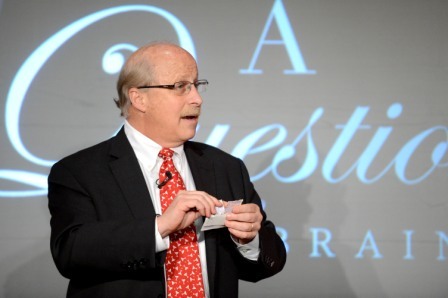 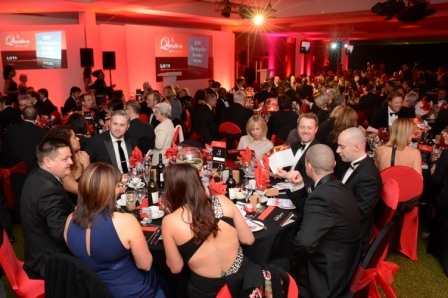 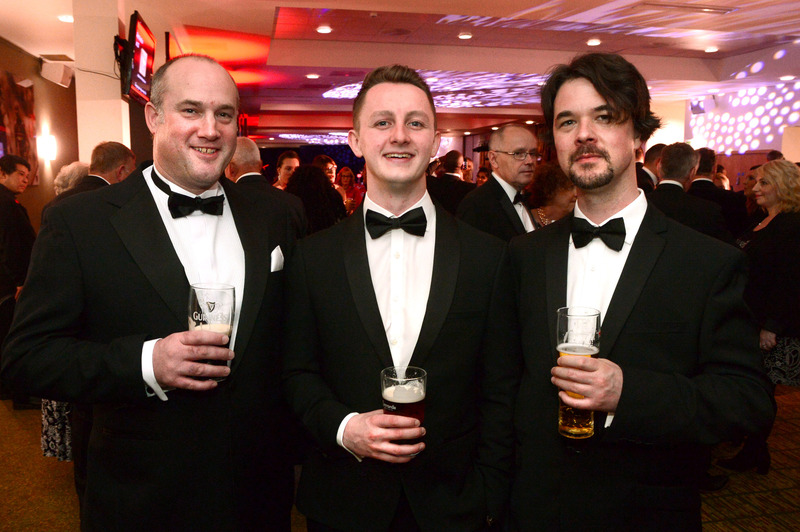 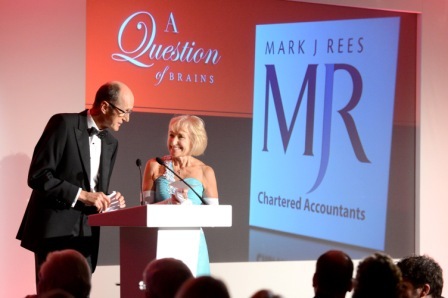 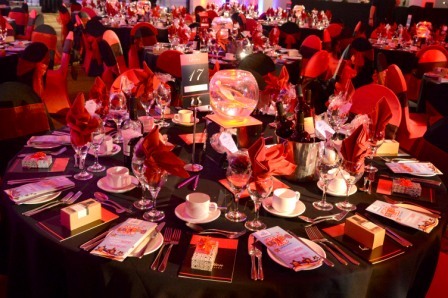 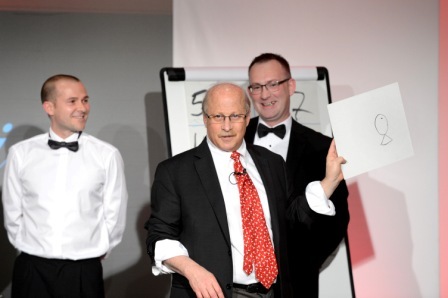 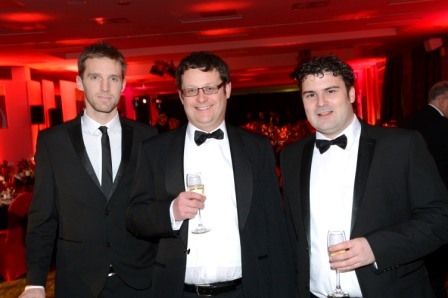 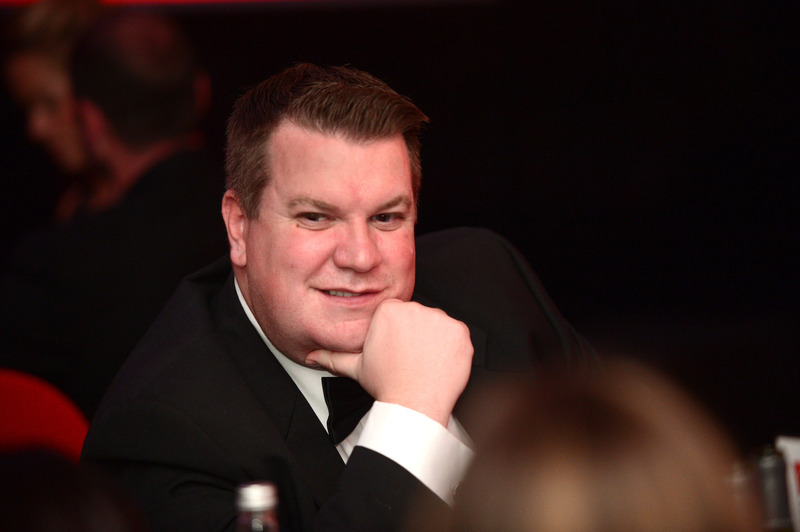 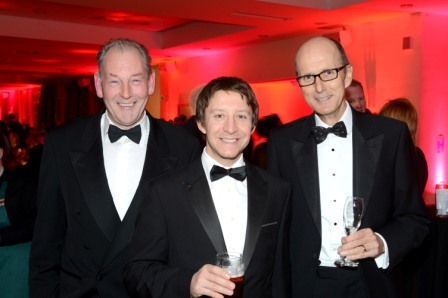 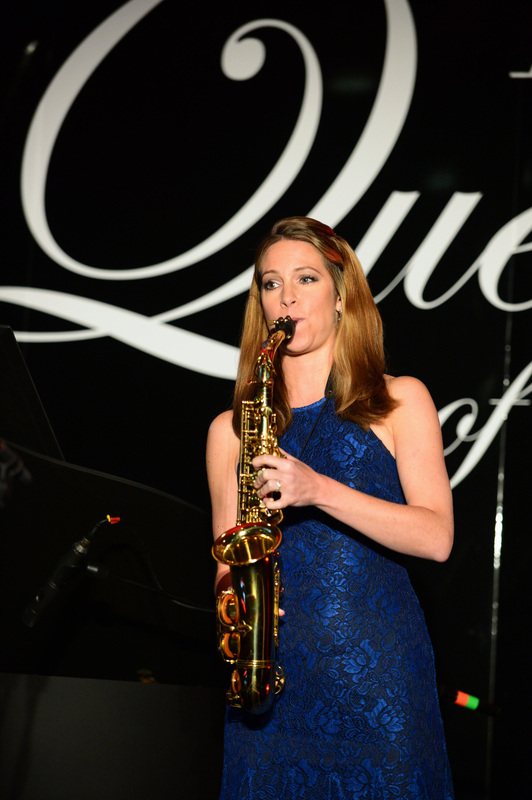 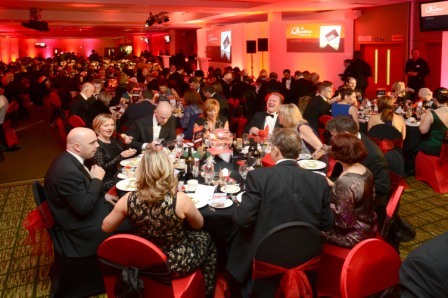 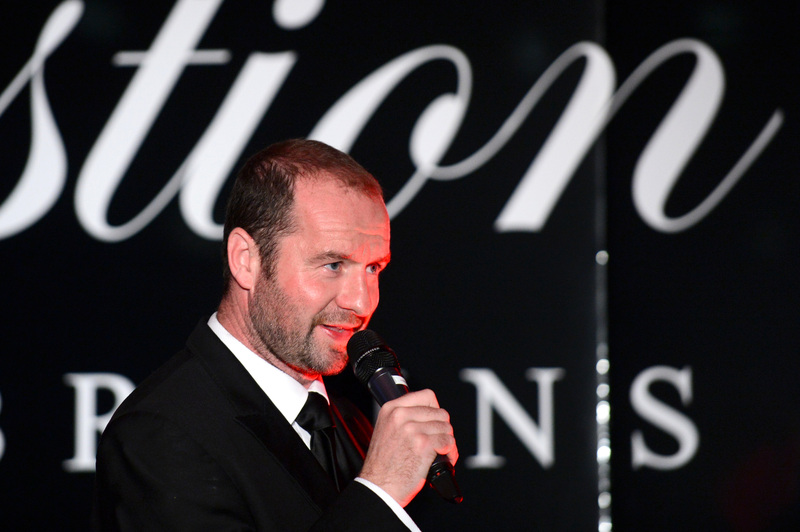 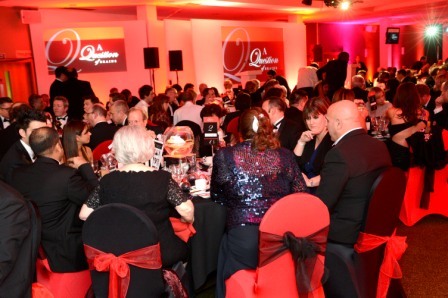 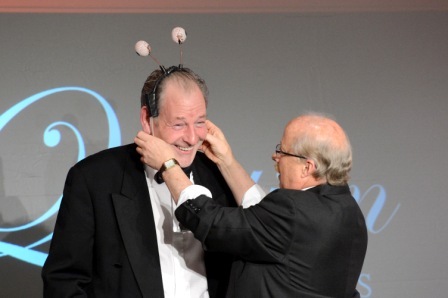 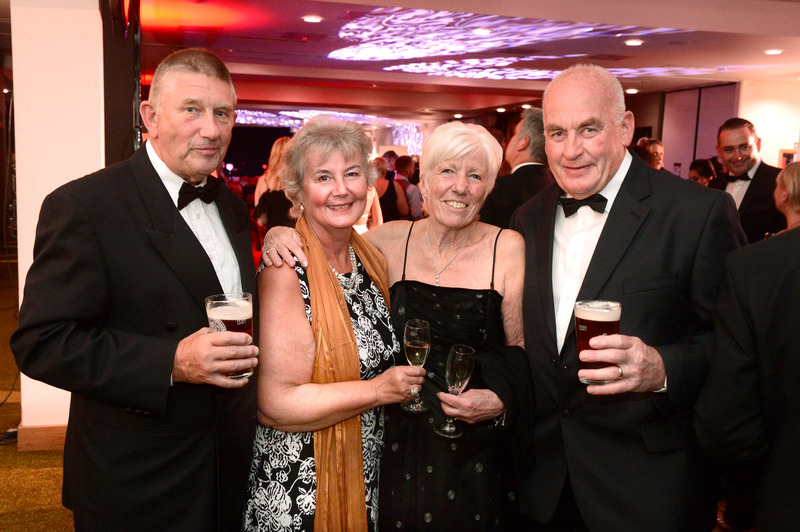 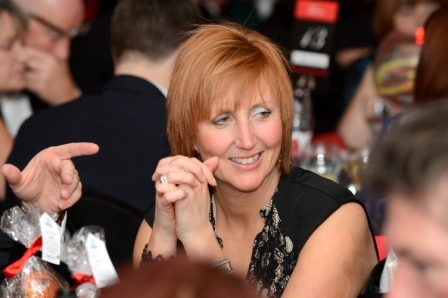 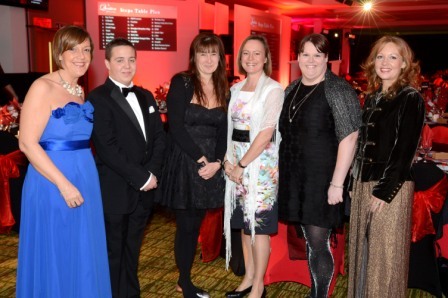 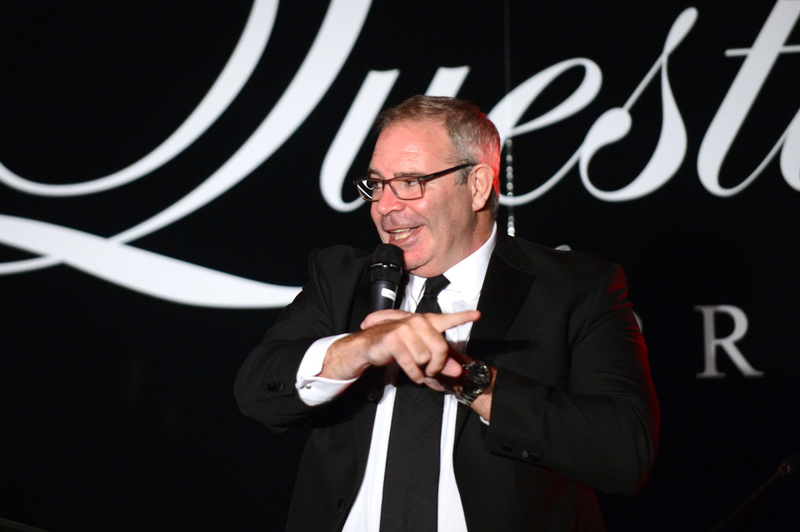 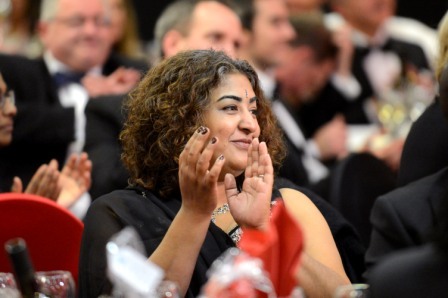 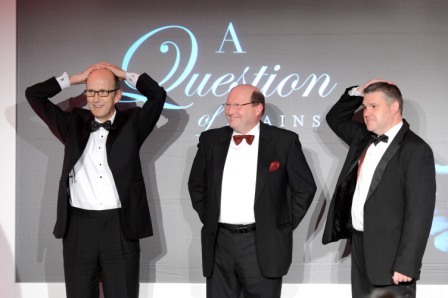 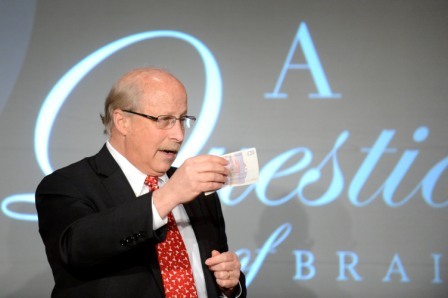 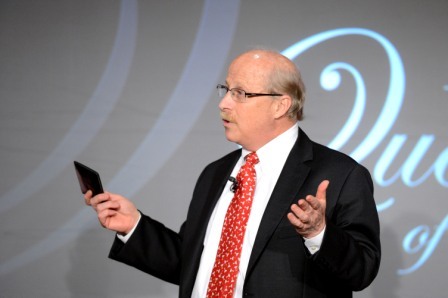 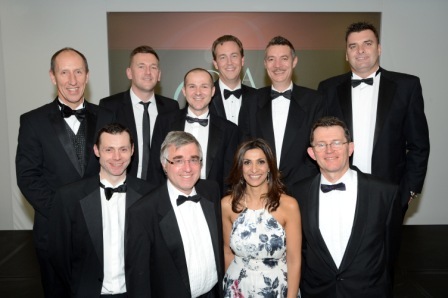 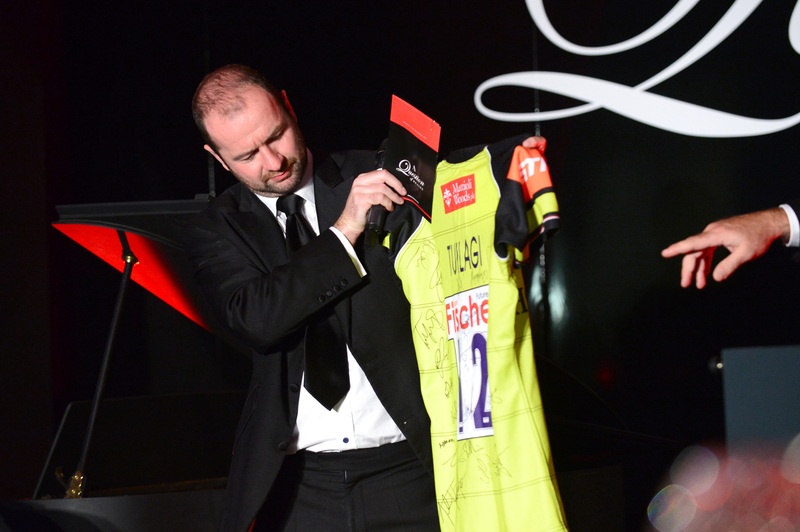 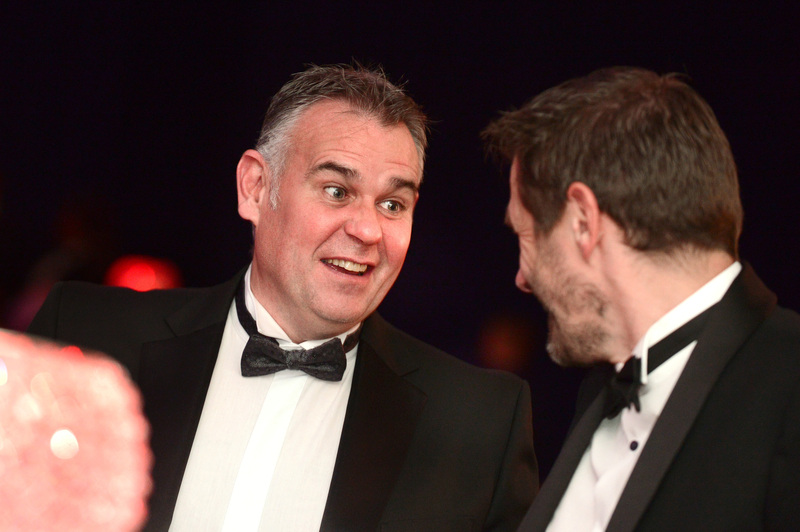 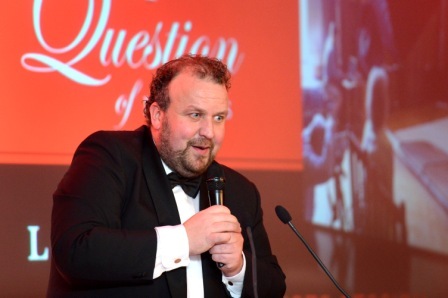 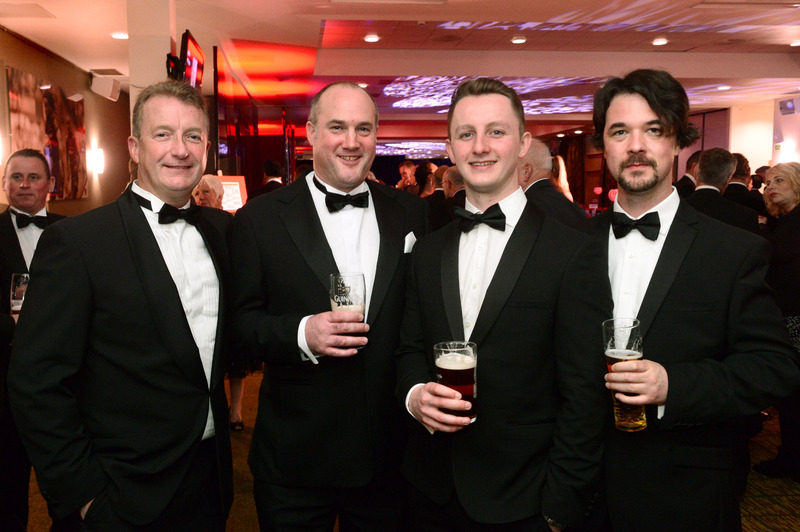 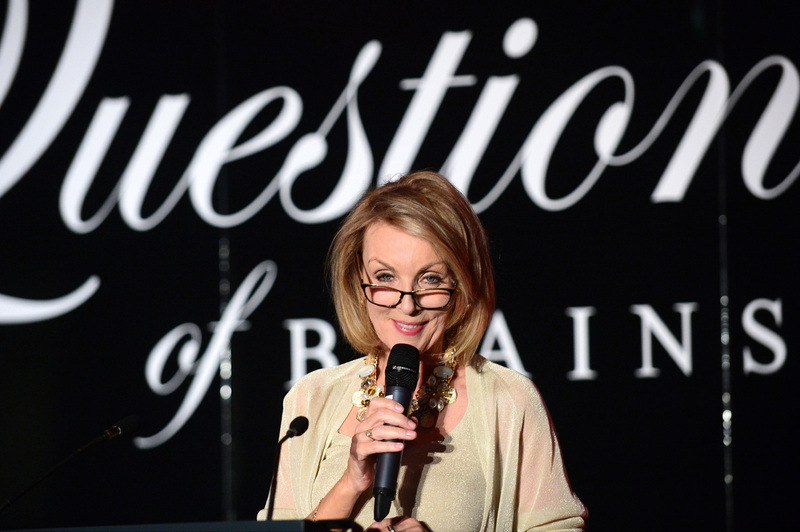 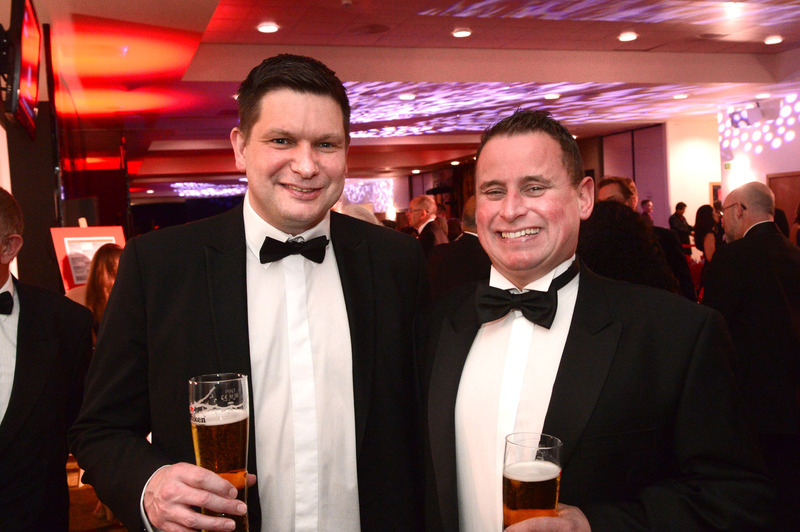 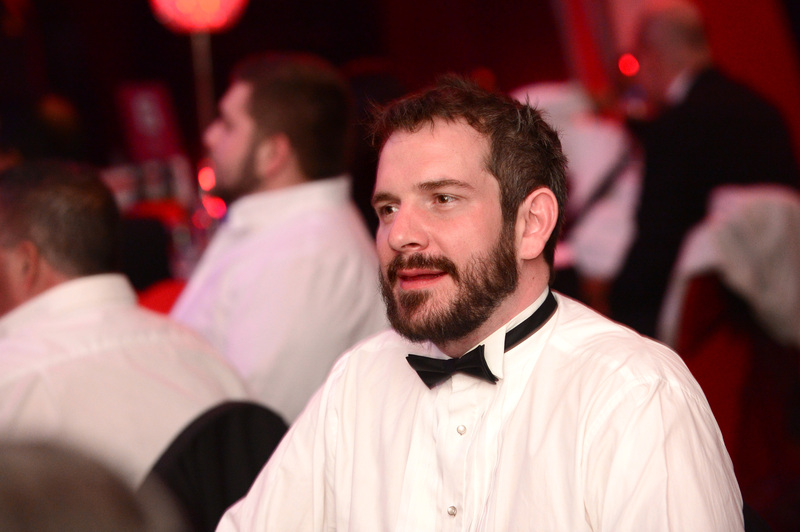 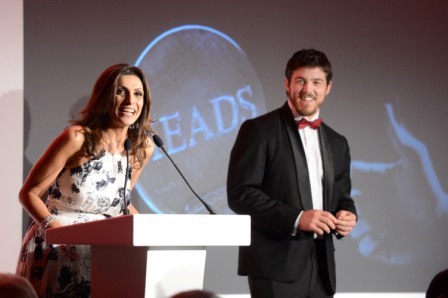 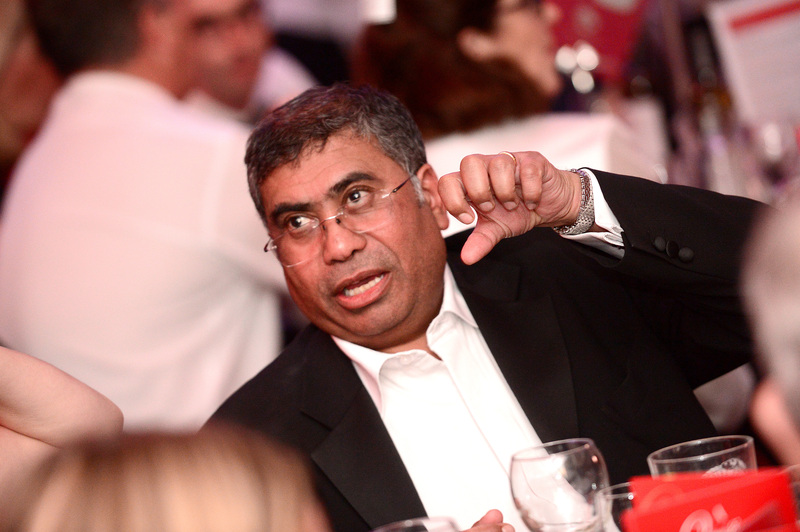 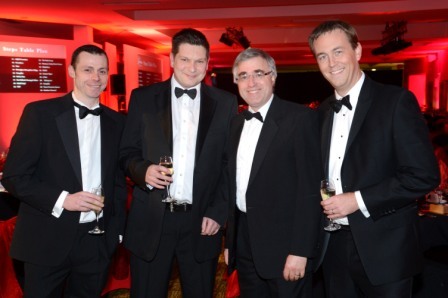 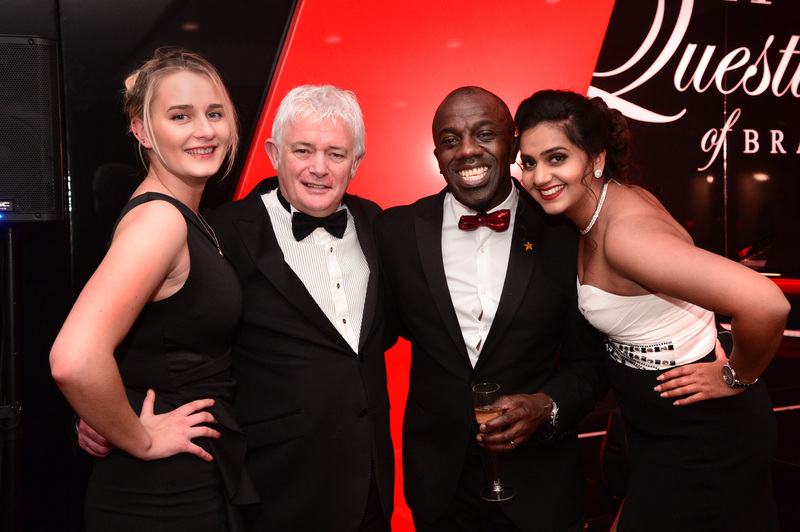 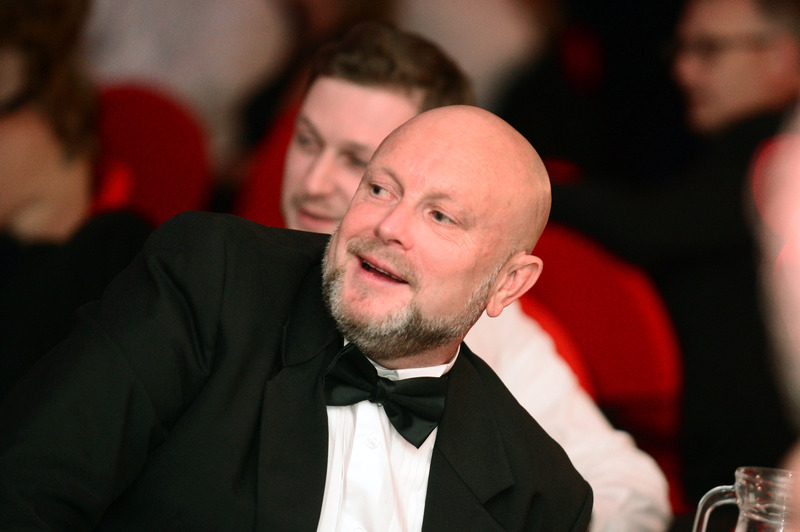 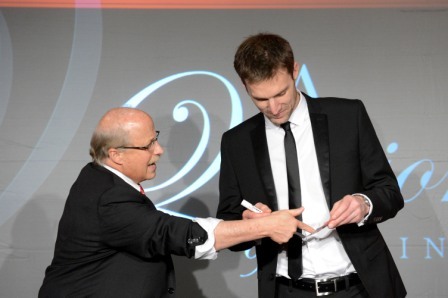 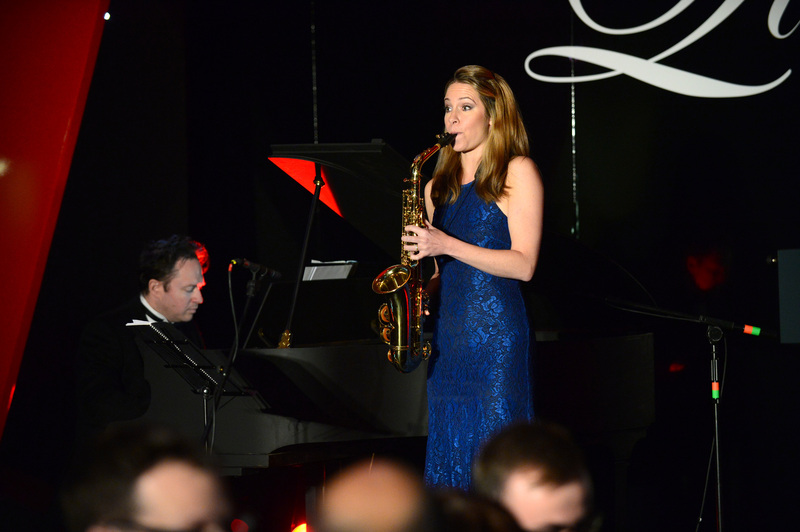 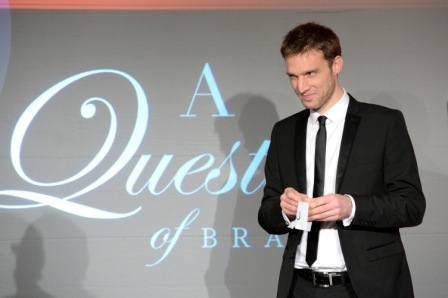 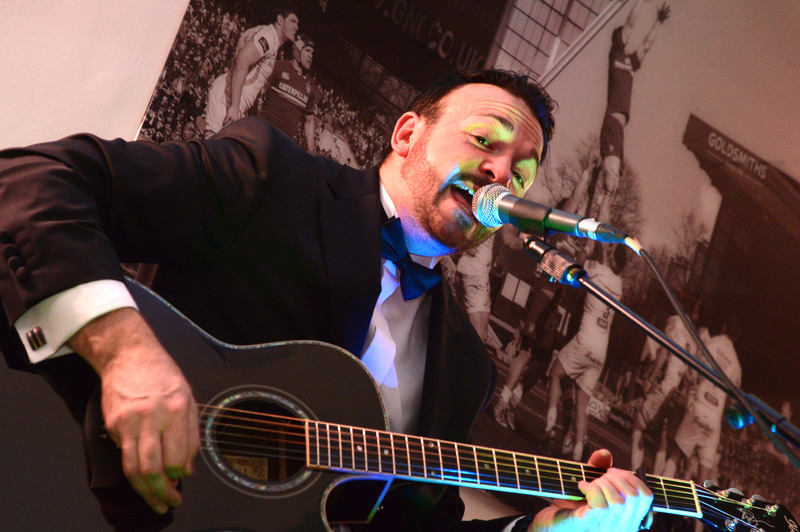 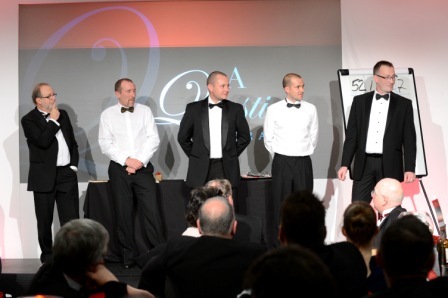 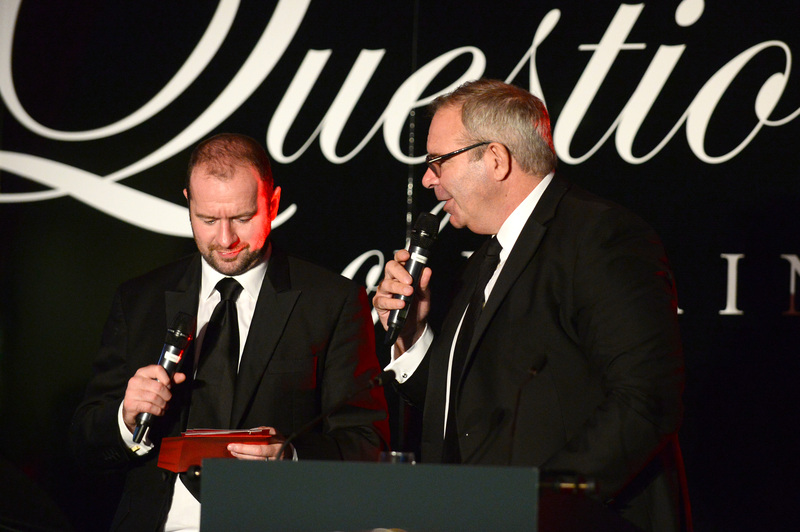 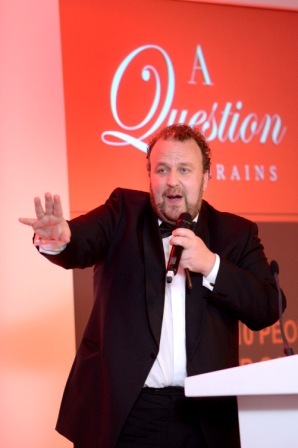 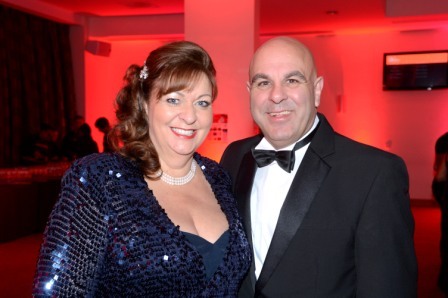 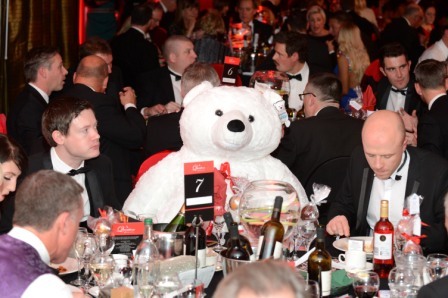 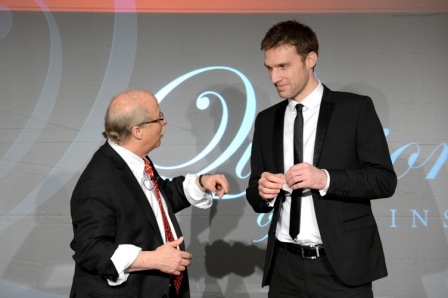 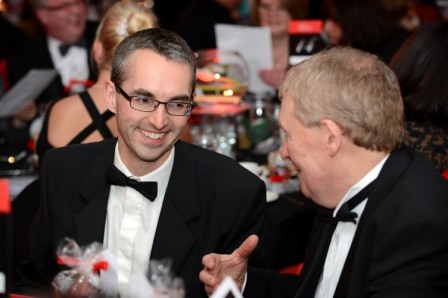 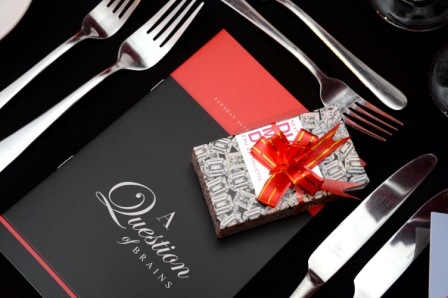 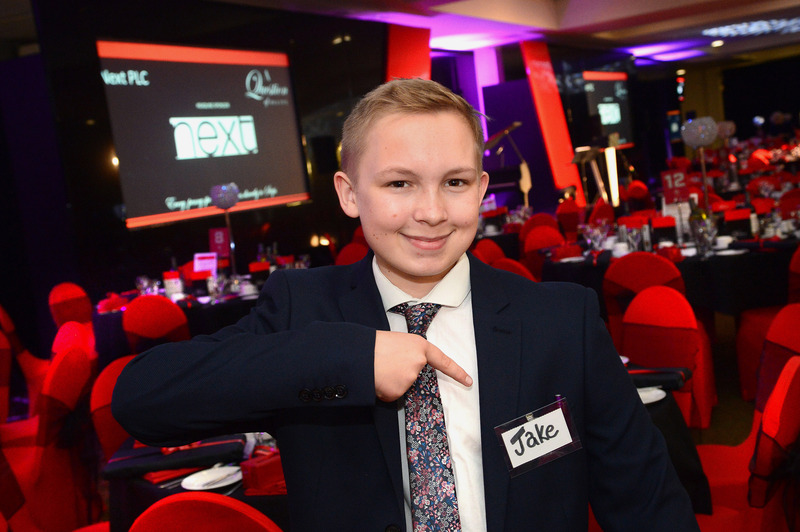 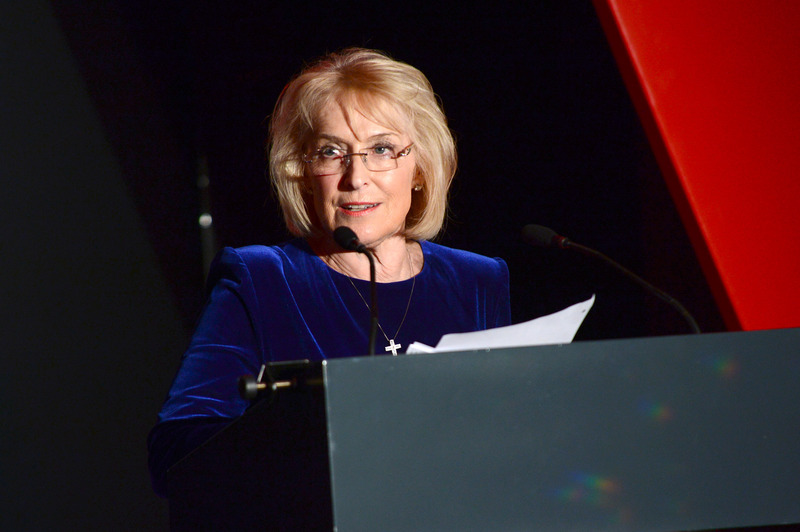 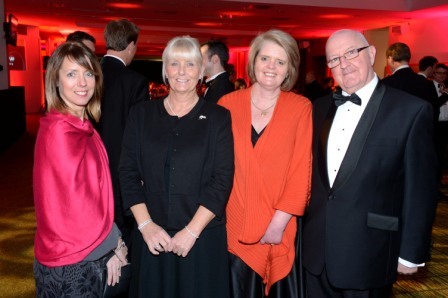 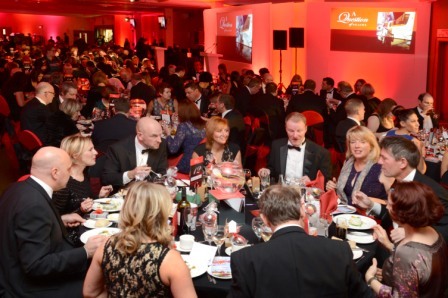 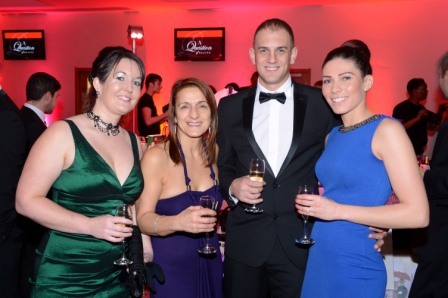 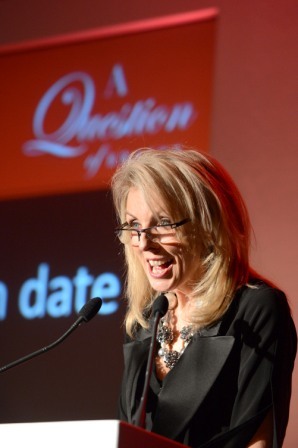 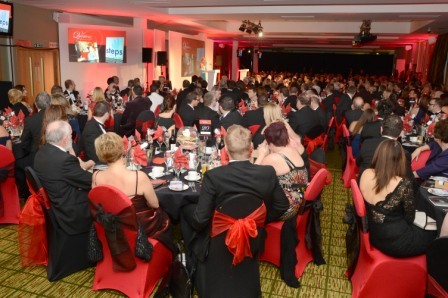 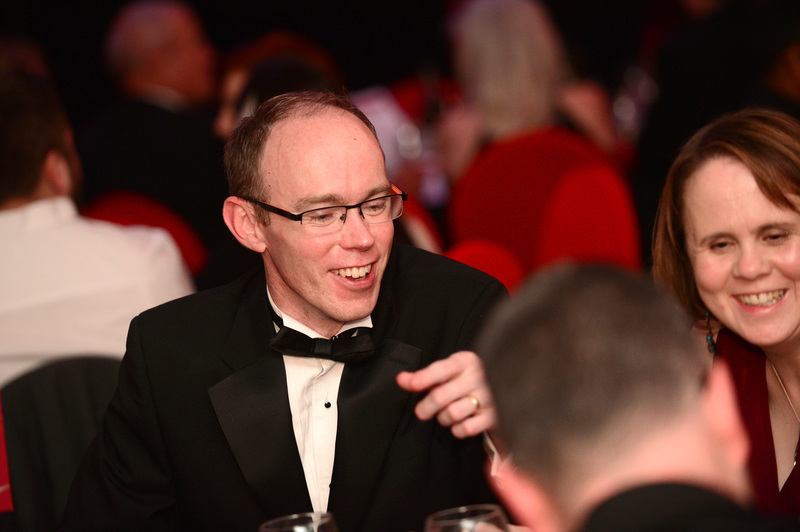 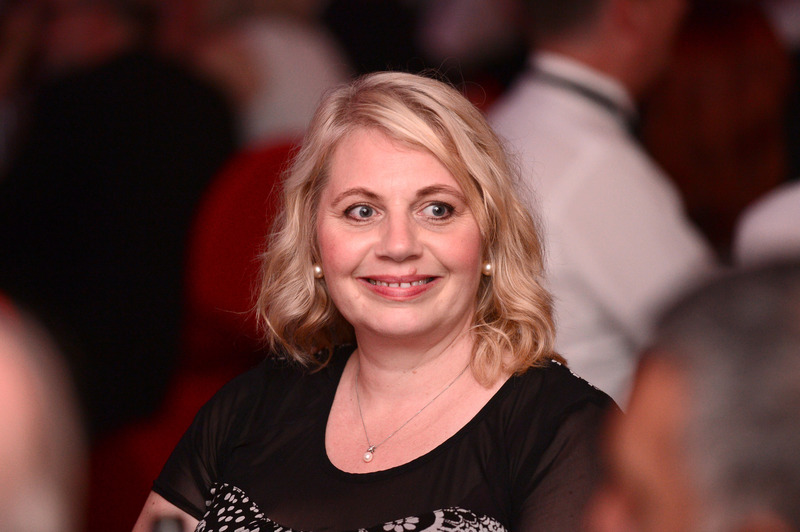 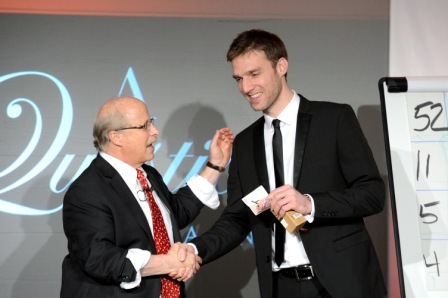 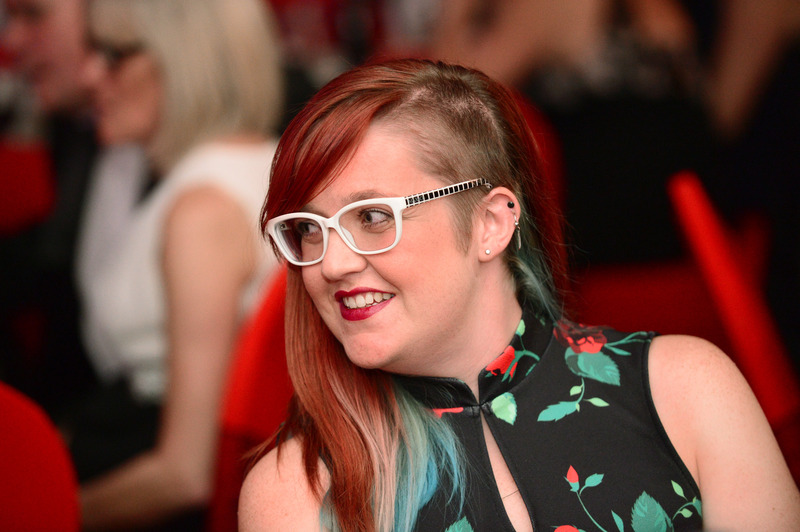 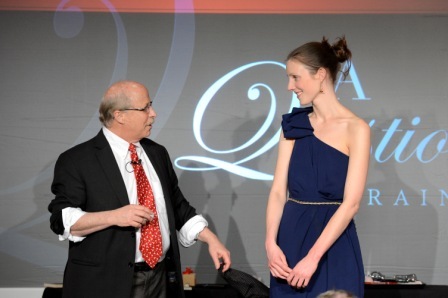 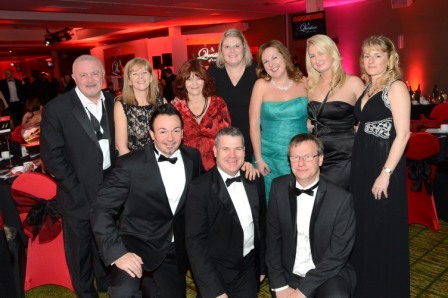 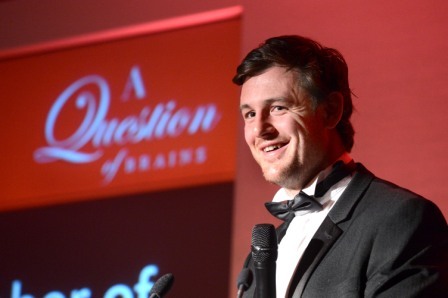 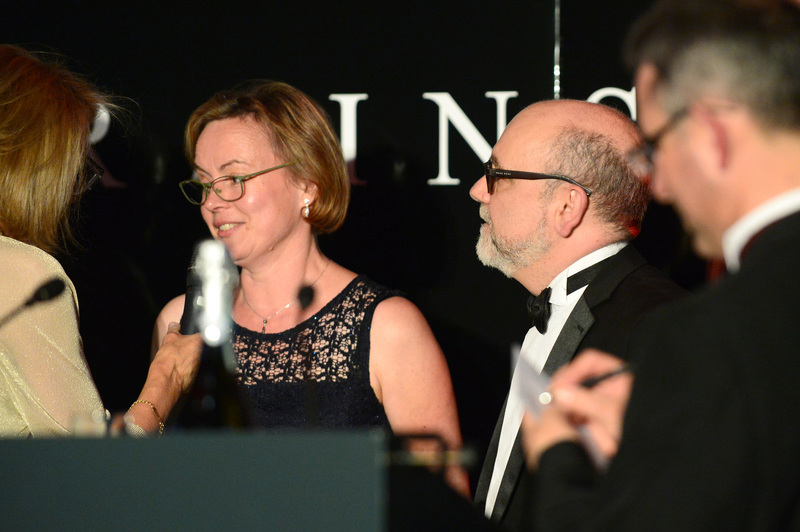 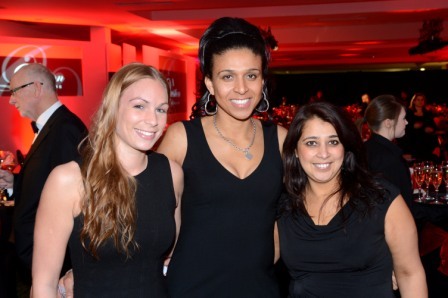 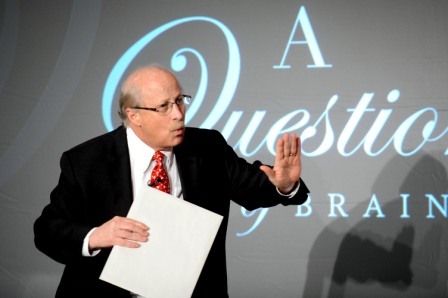 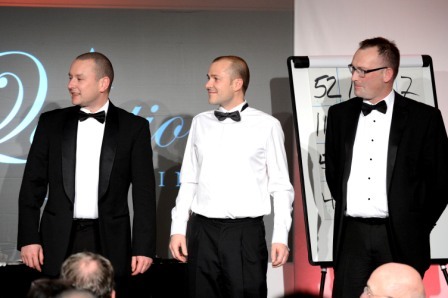 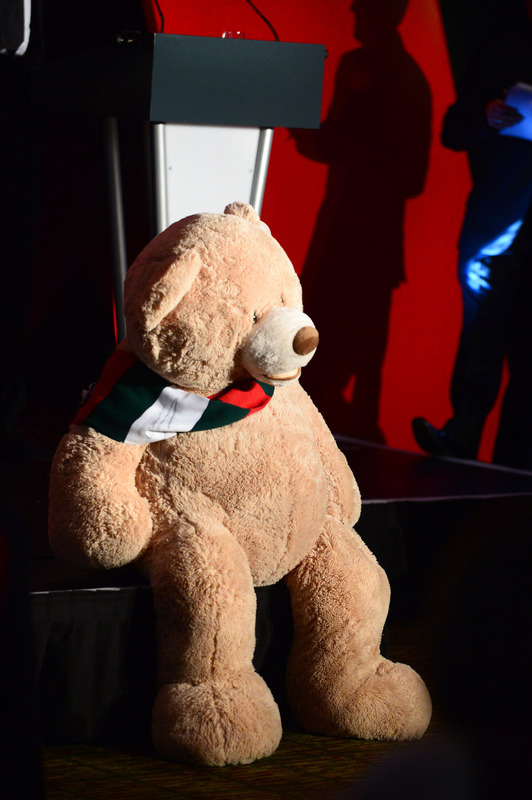 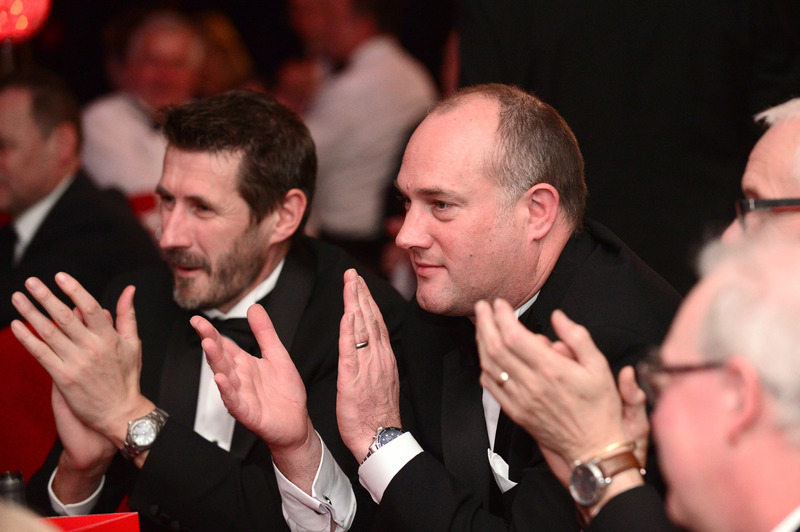 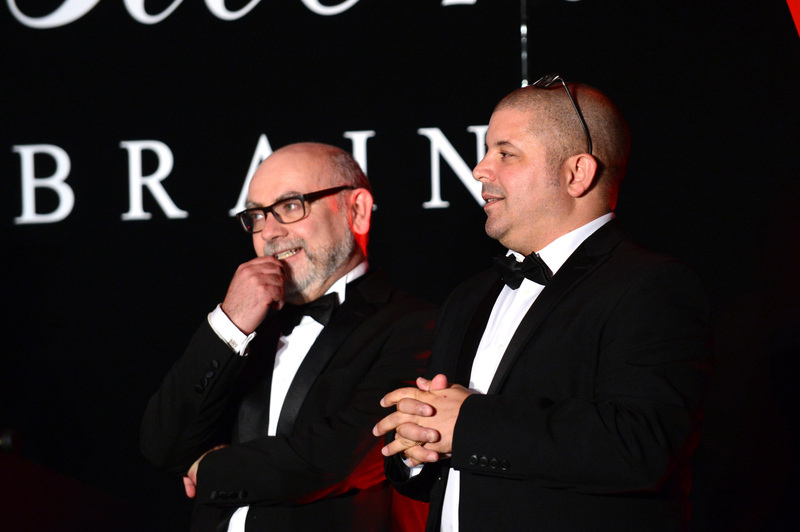 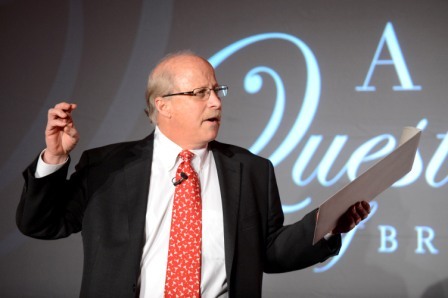 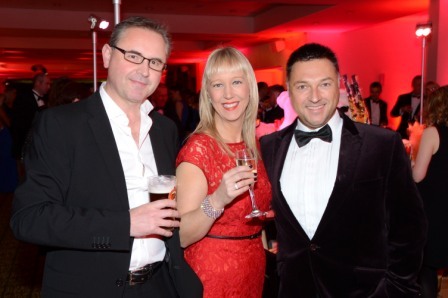 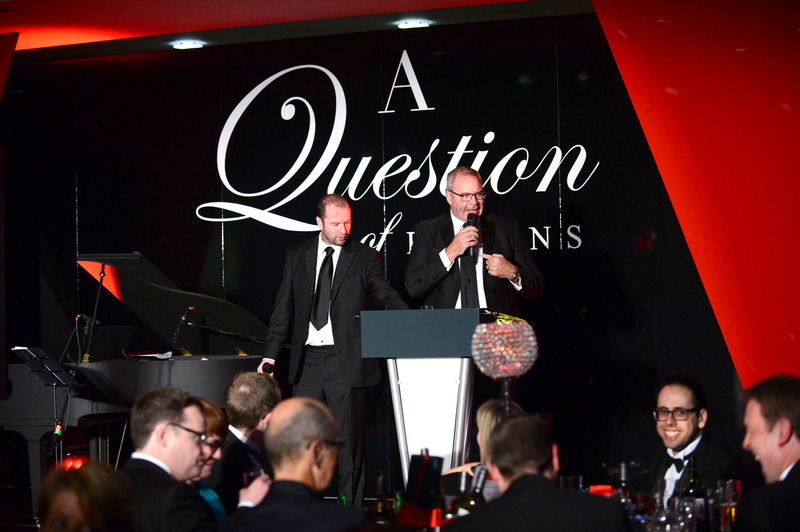 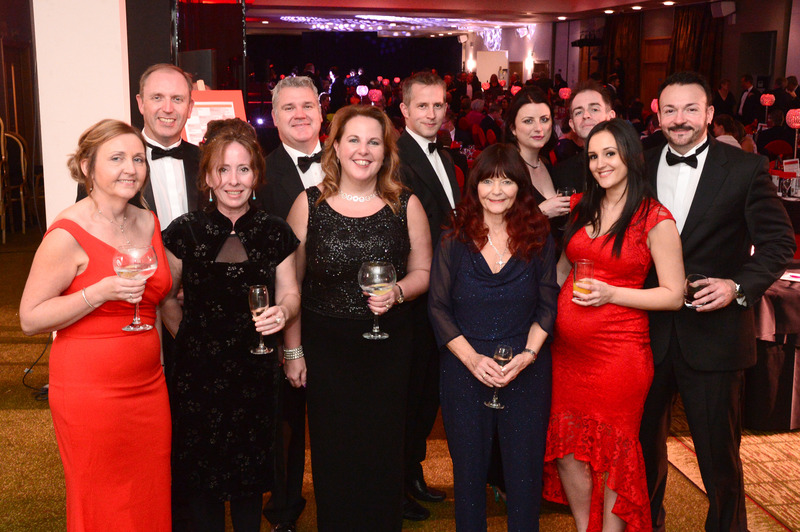 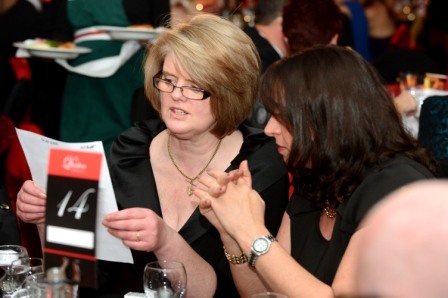 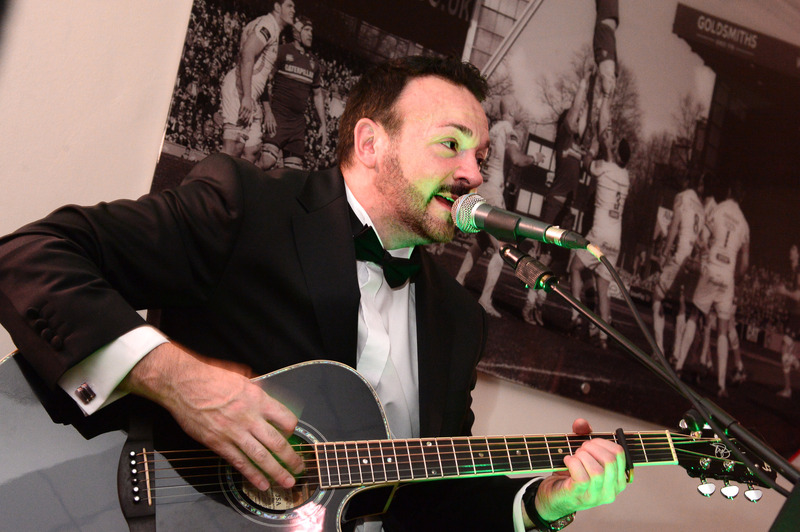 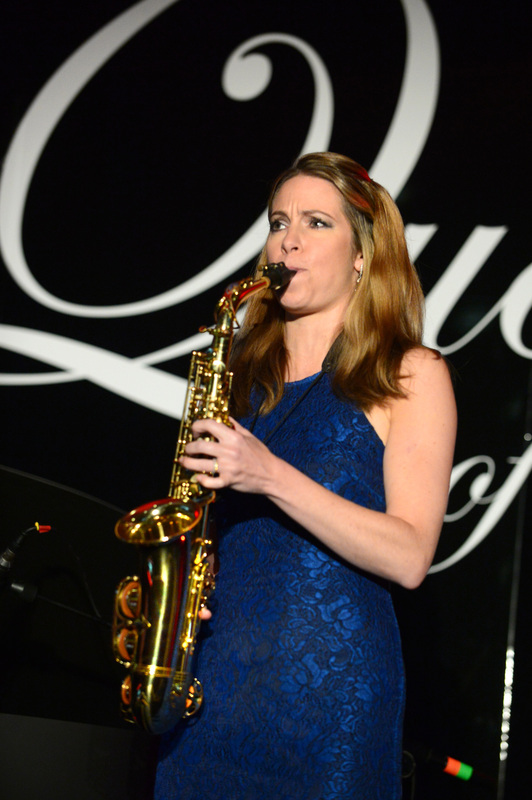 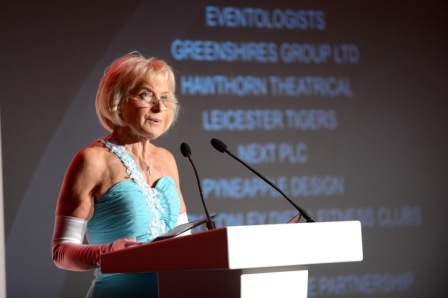 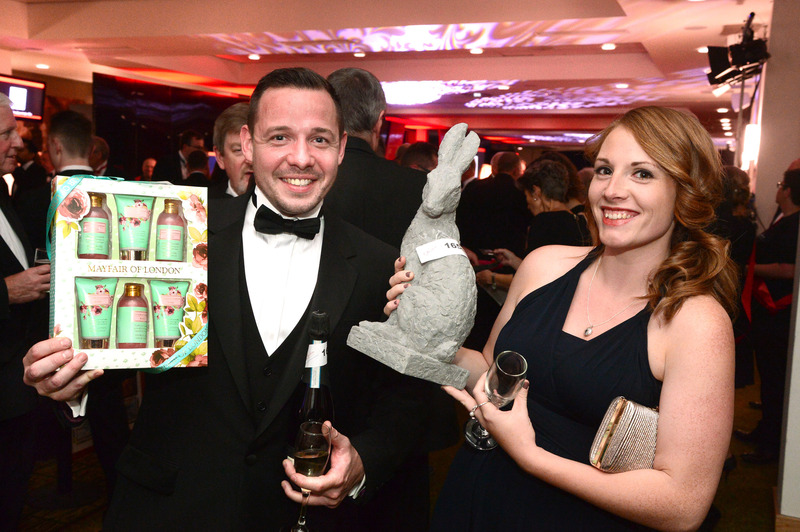 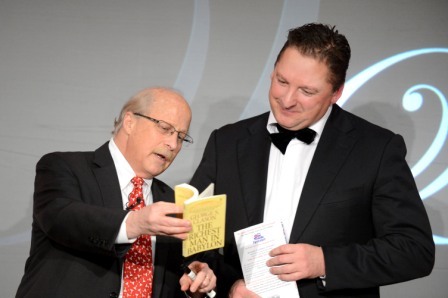 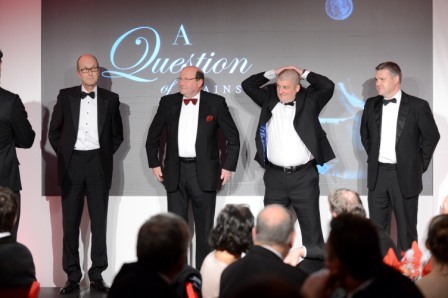 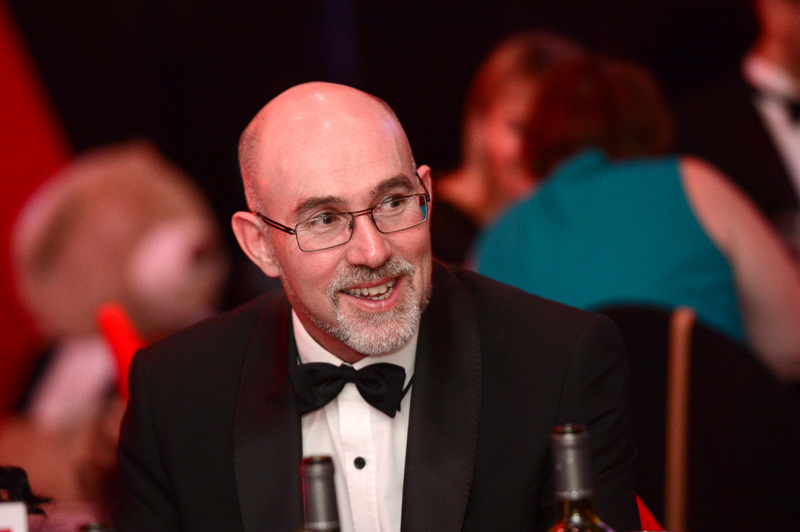 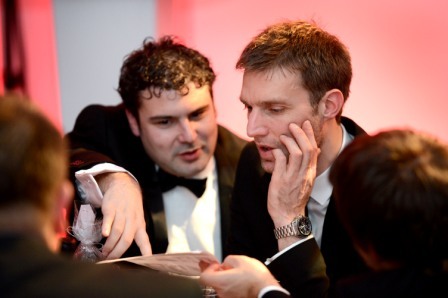 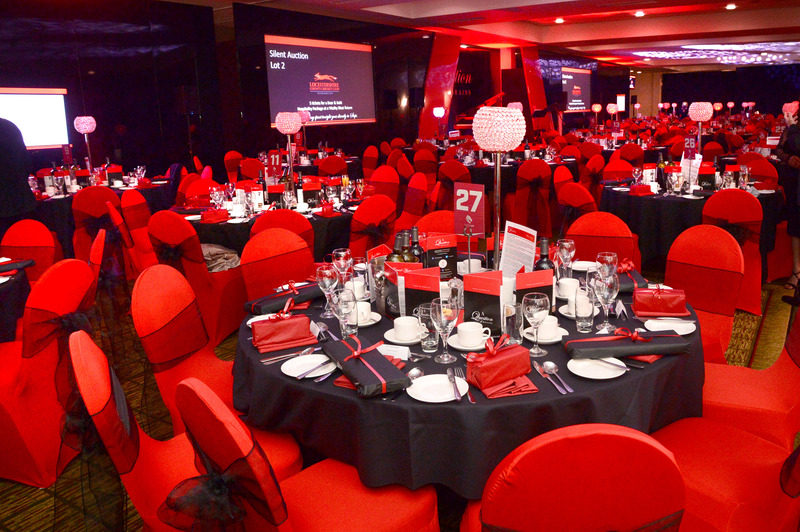 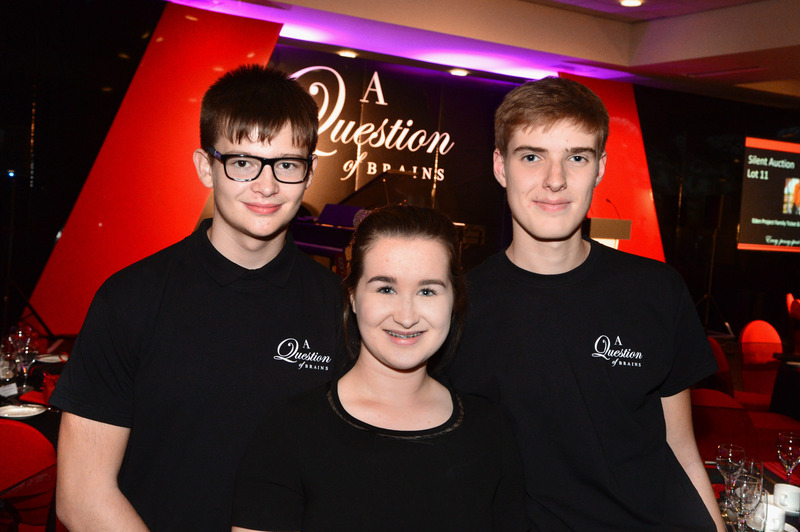 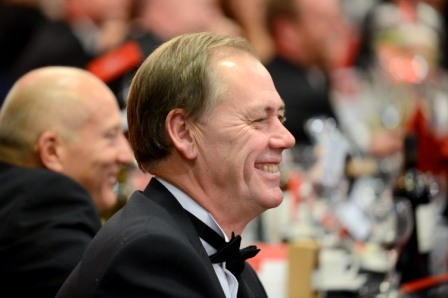 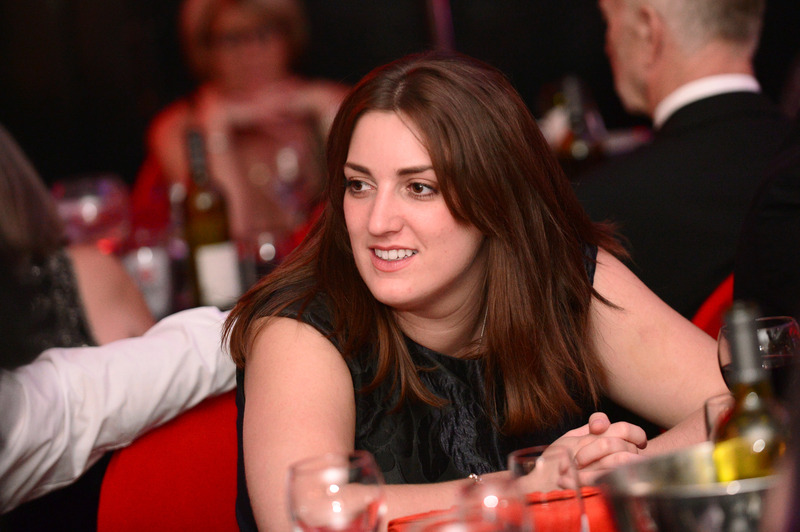 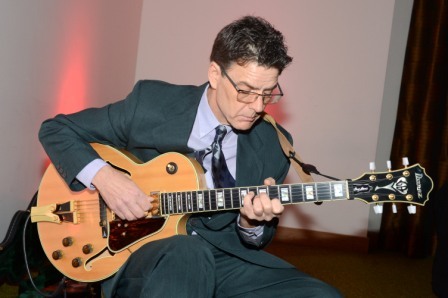 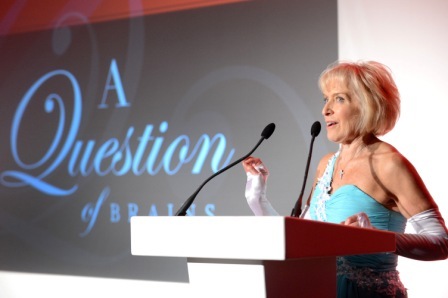 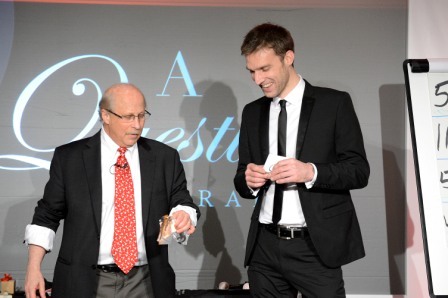 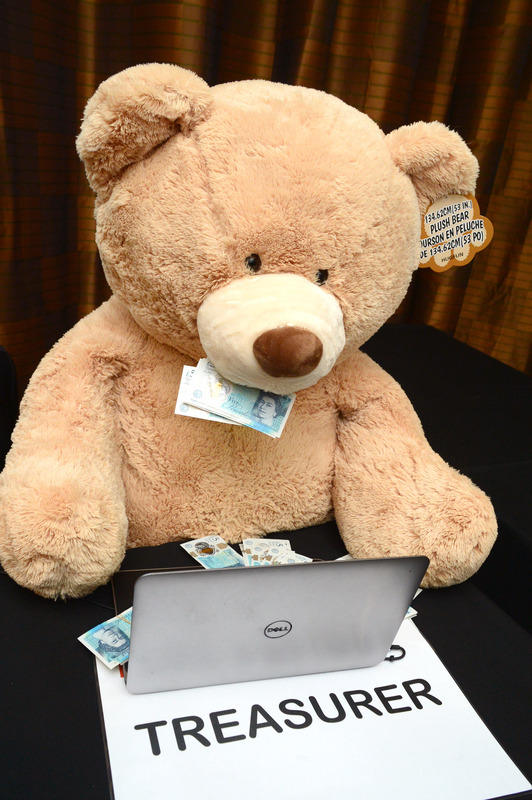 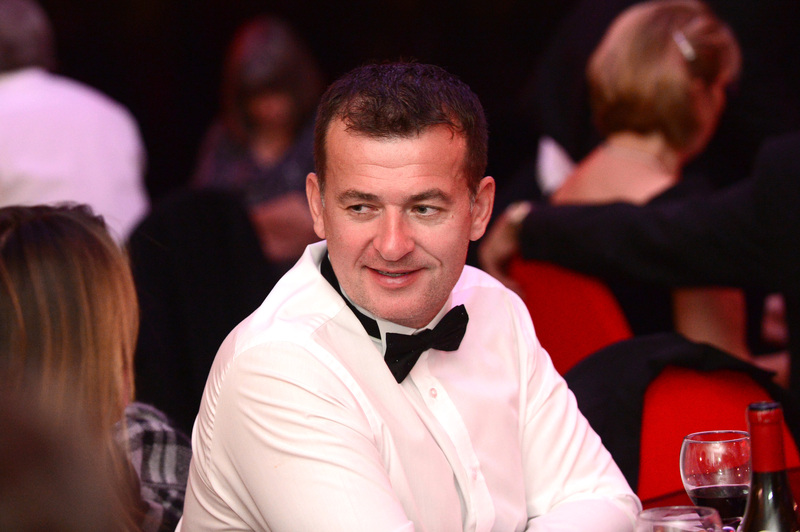 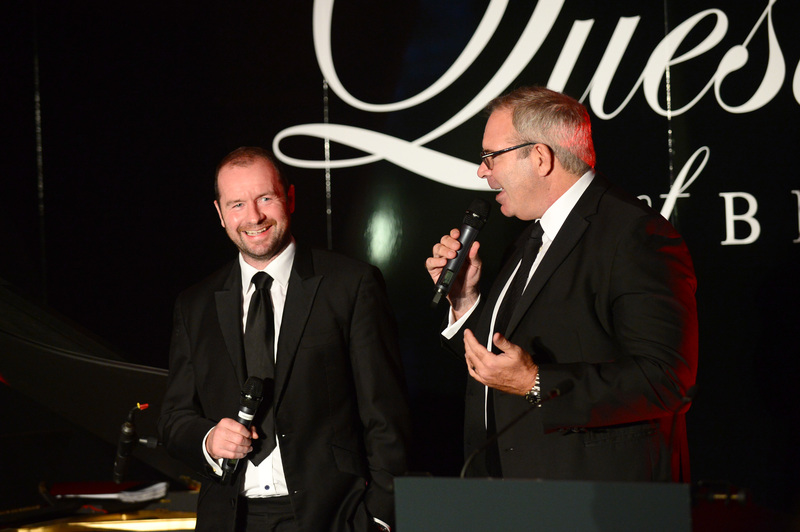 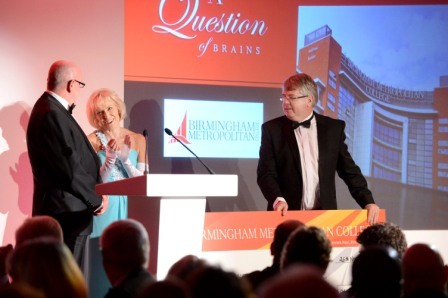 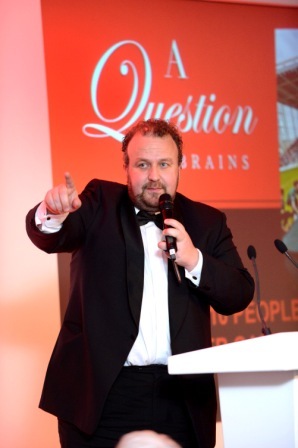 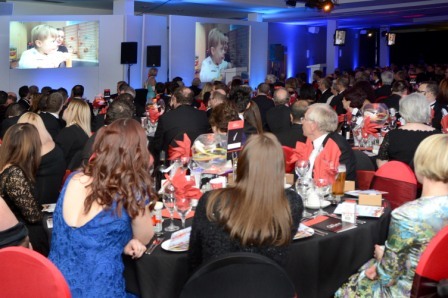 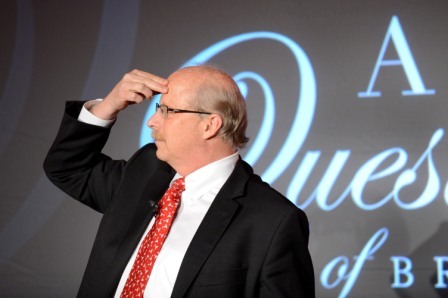 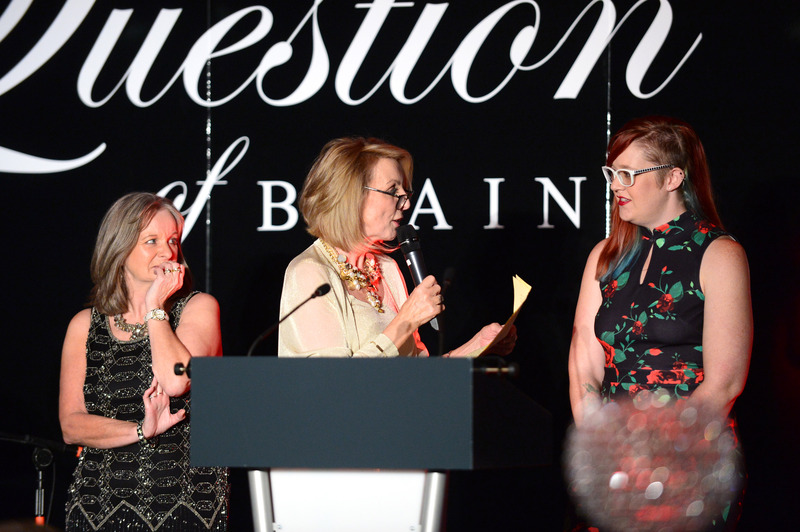 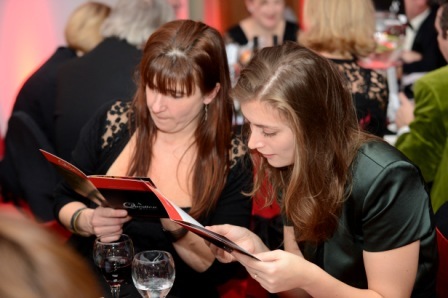 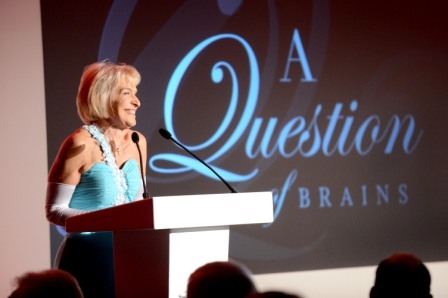 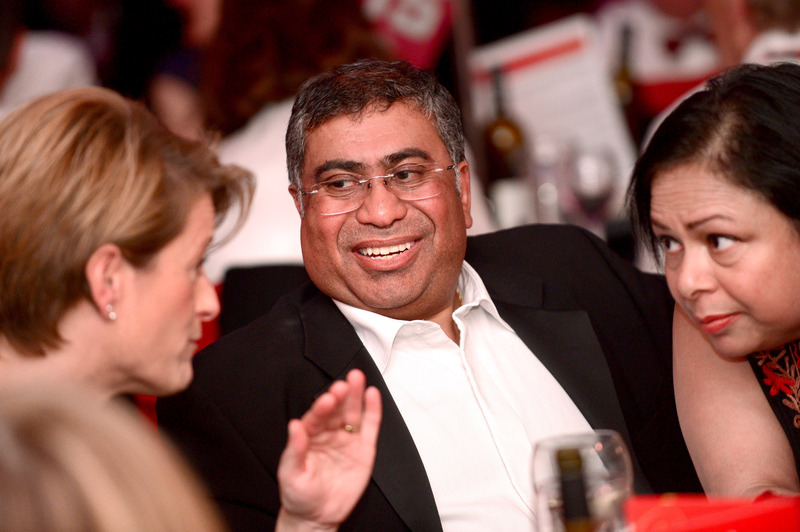 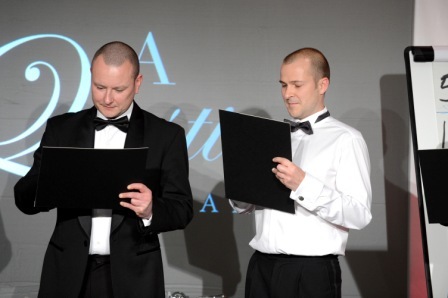 The second annual A Question of Brains event was held at Leicester Tigers on 26th November 2013. 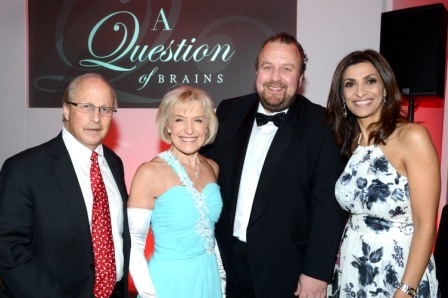 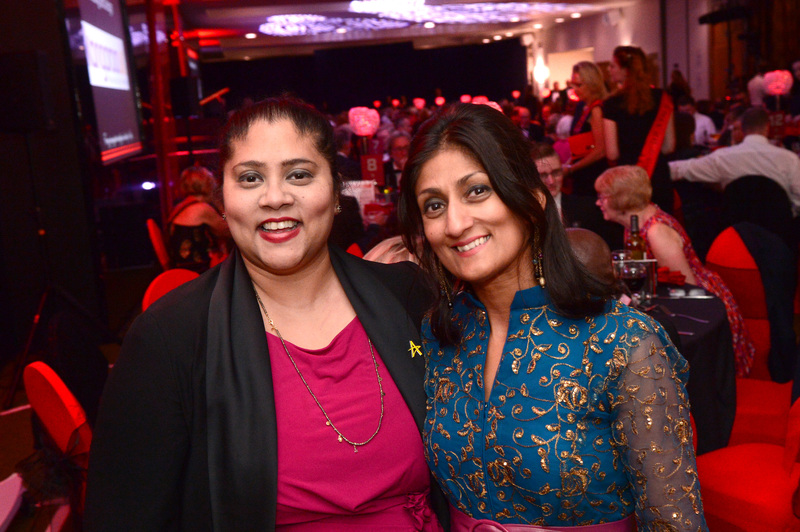 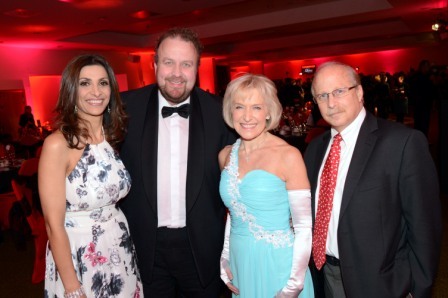 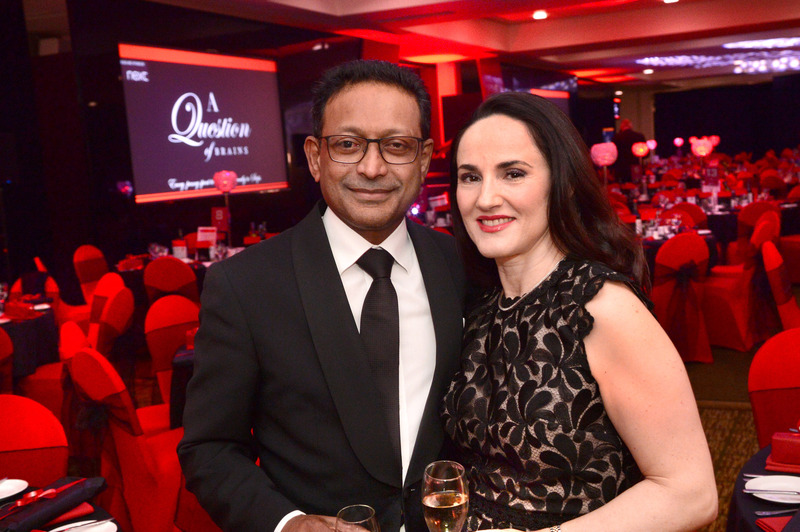 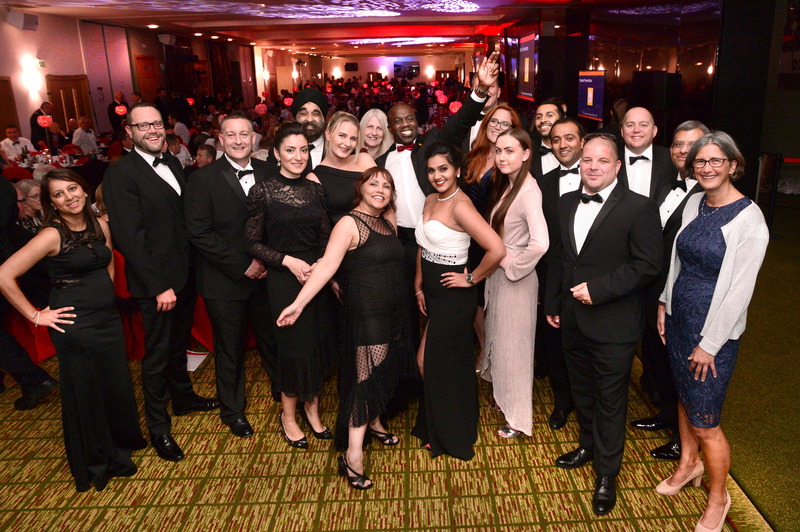 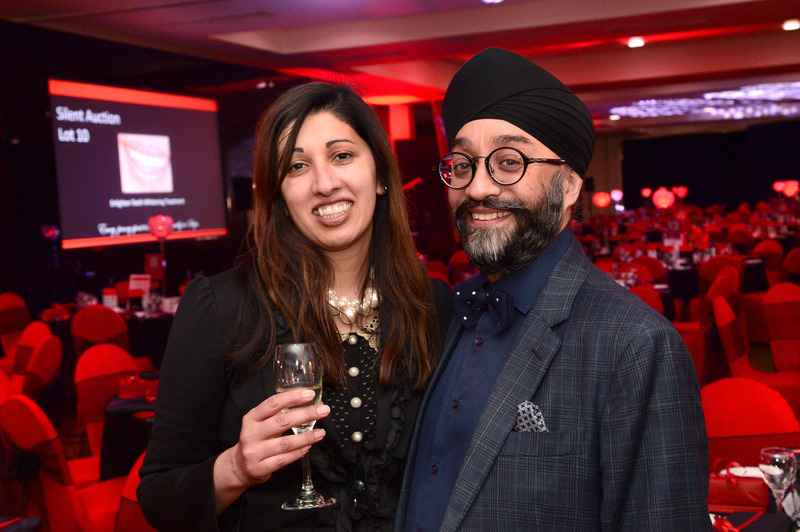 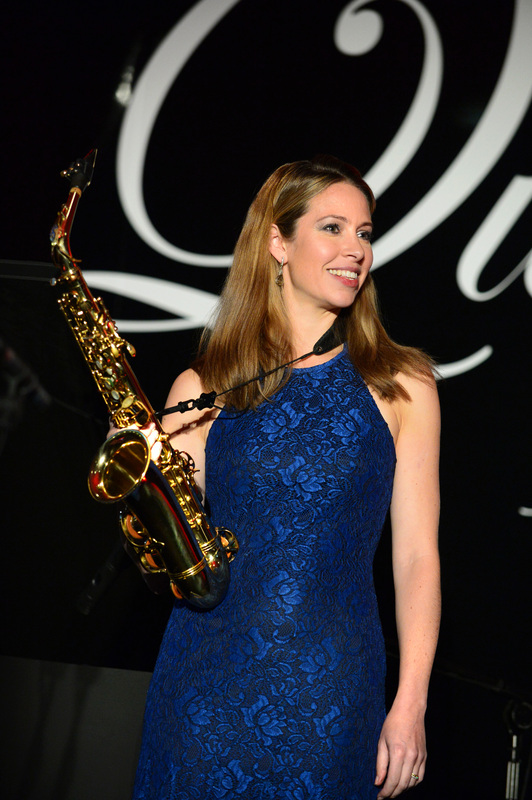 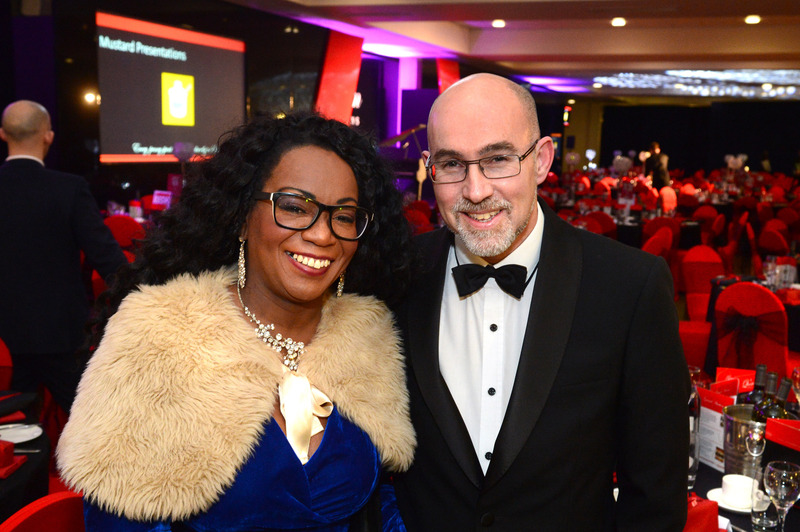 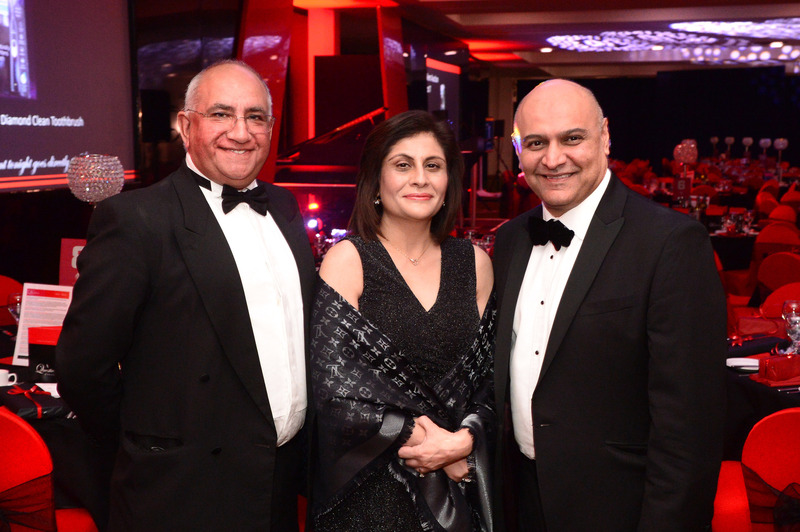 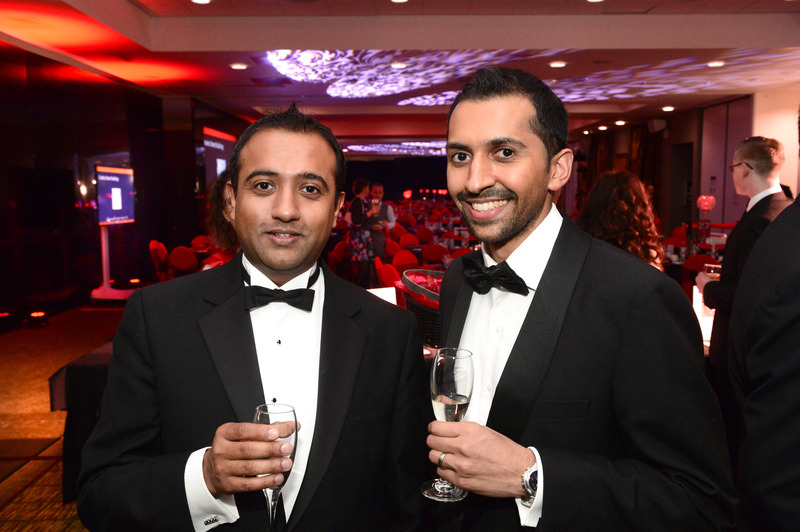 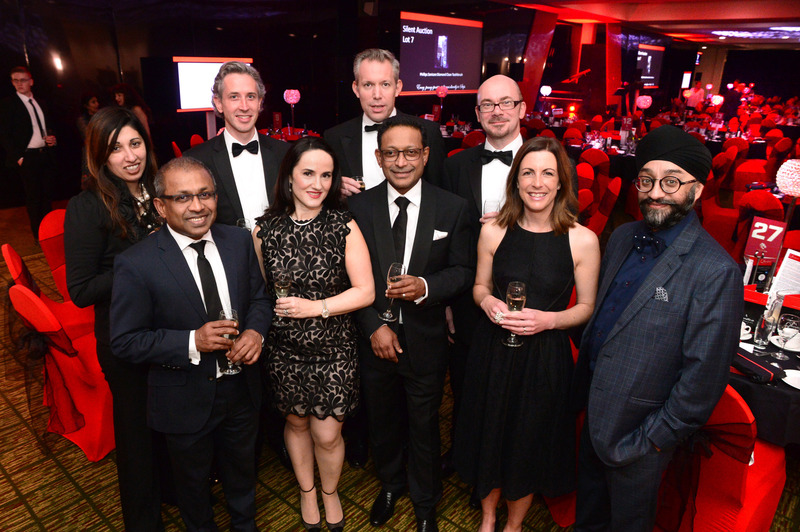 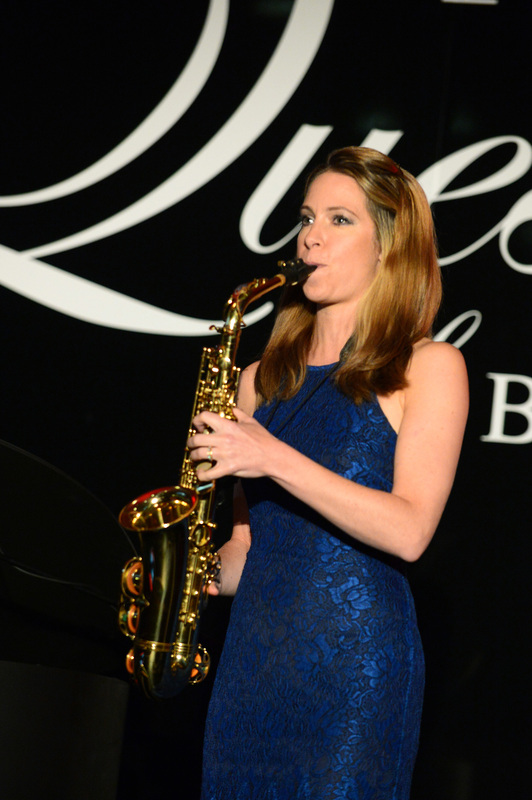 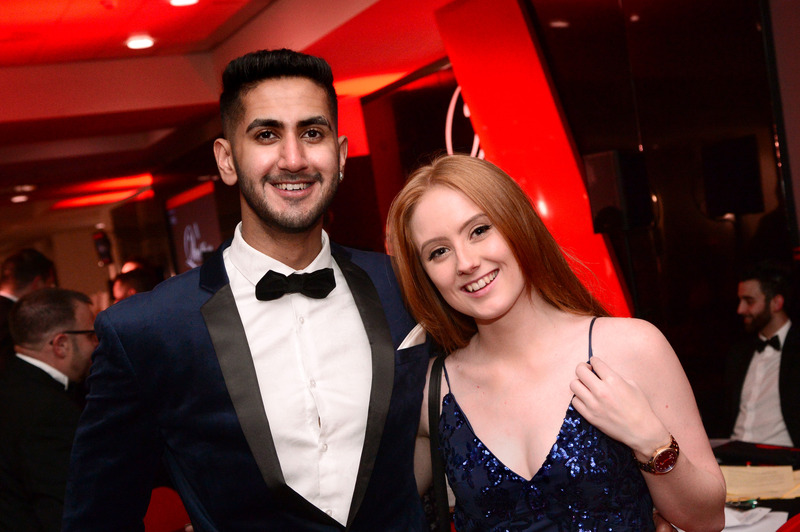 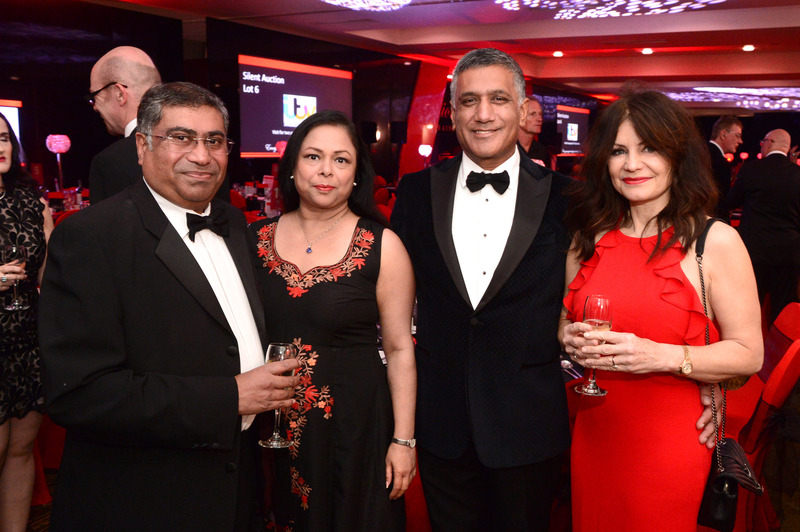 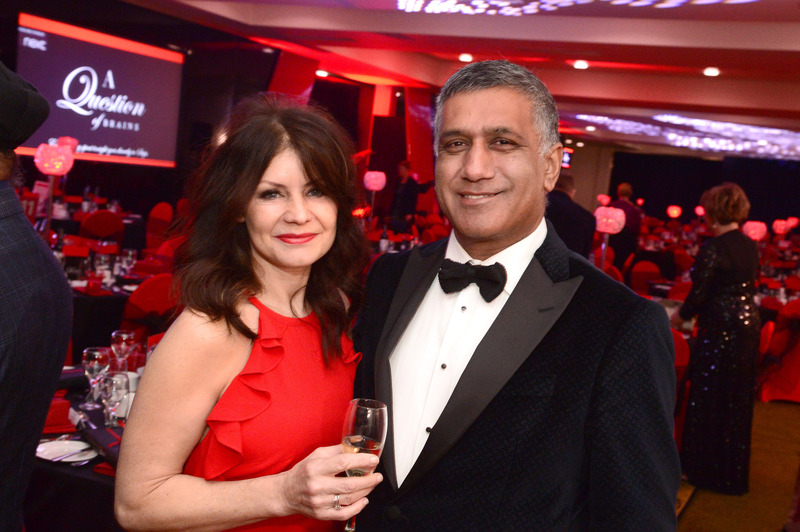 The event was hosted by ITV Central News presenter Sameena Ali-Khan and Magician Extrordinaire Bill Herz flew in from America to perform. 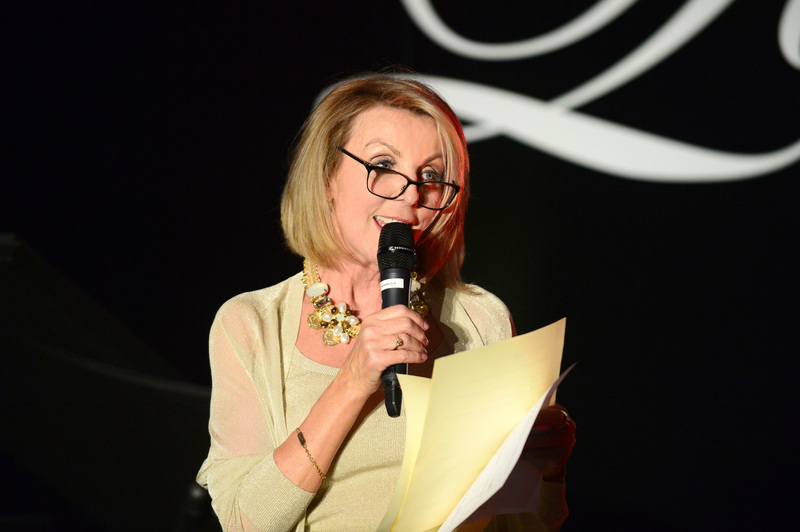 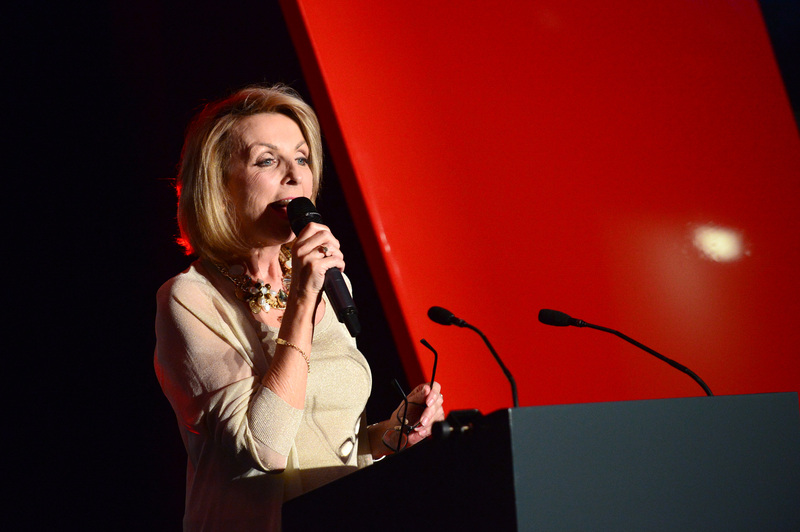 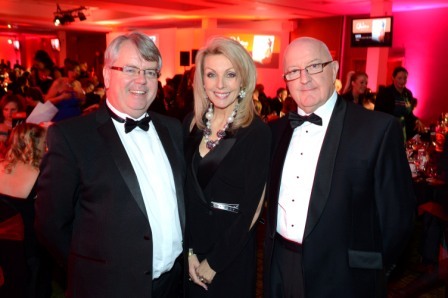 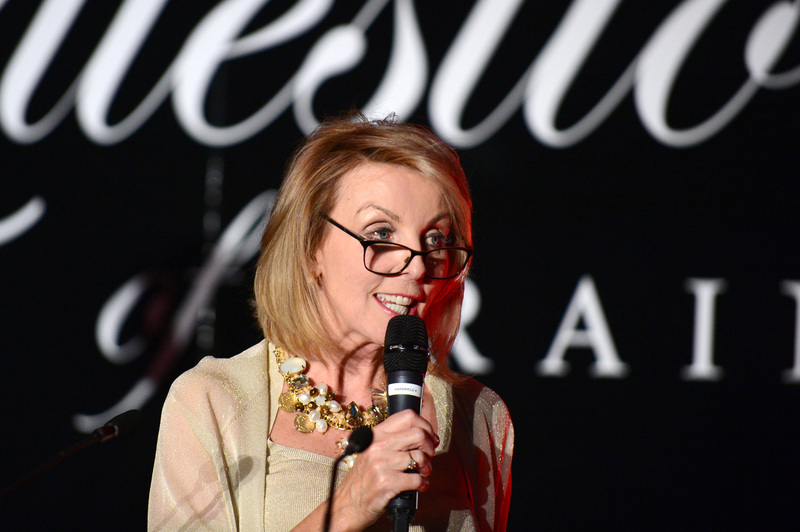 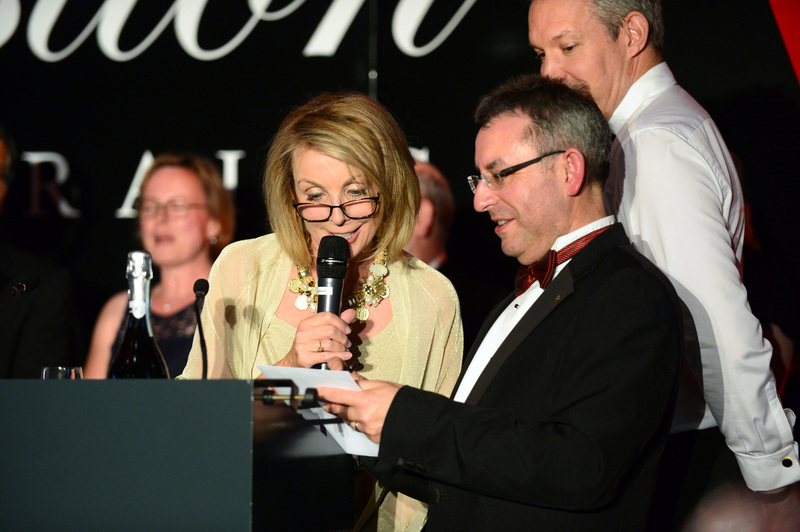 BBC East Midlands Today presenter Anne Davies was the quiz master and TV Auctioneer James Lewis ran the auction. 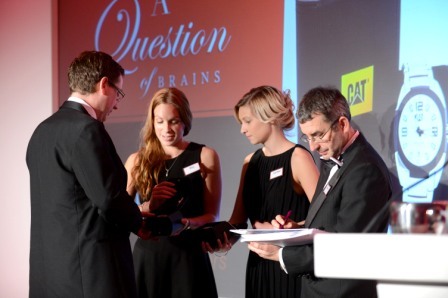 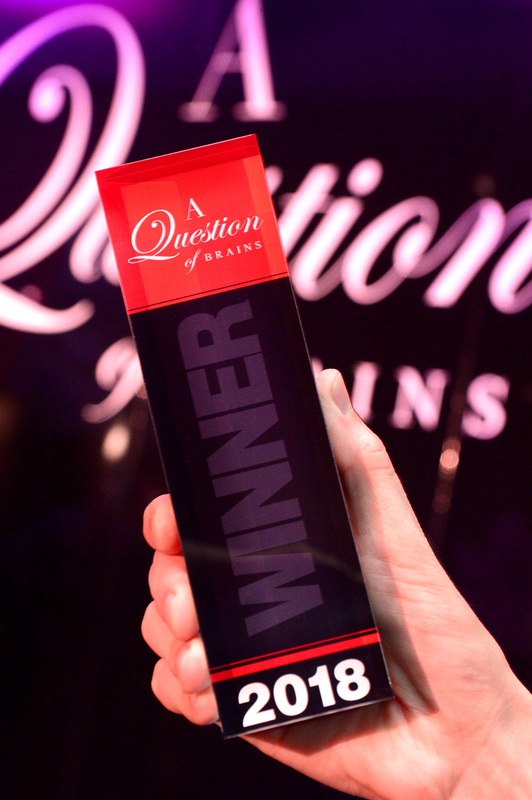 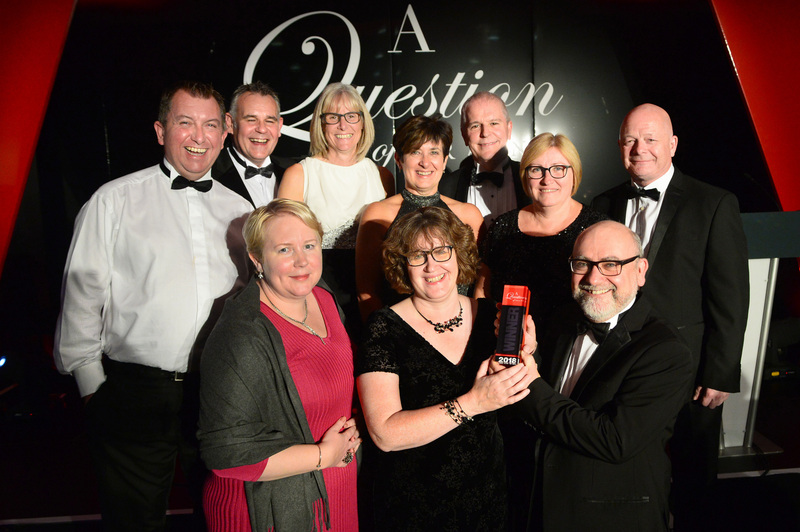 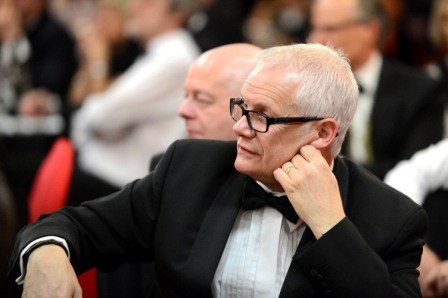 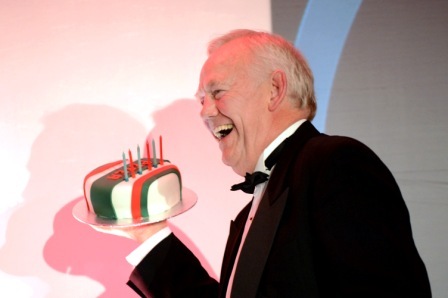 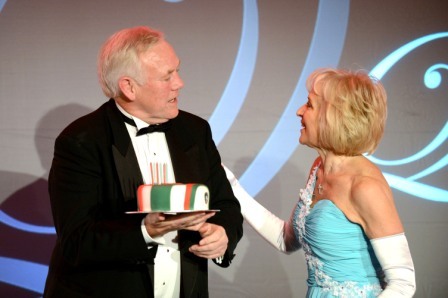 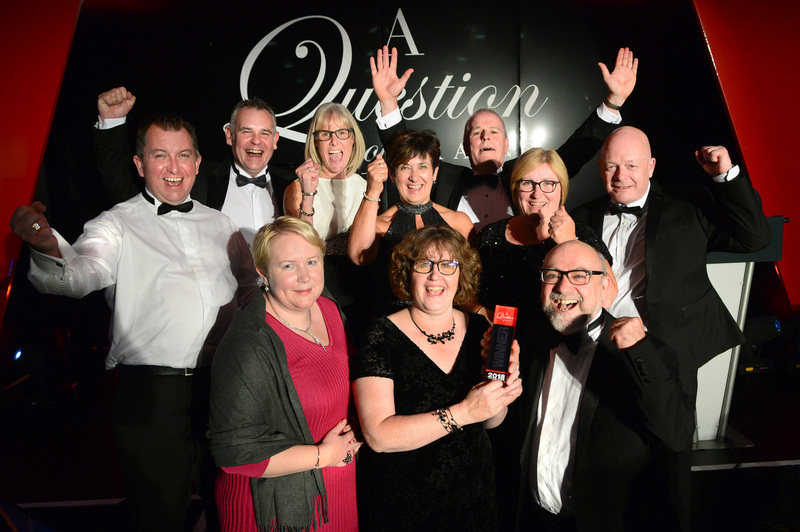 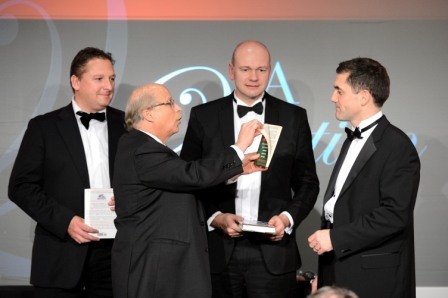 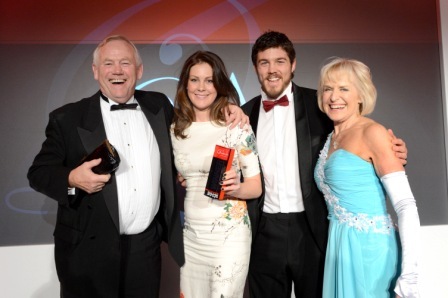 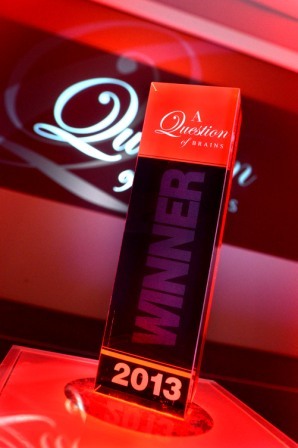 The A Question of Brains Trophy was won by Peter Wheeler and the Leicester Tigers Table. 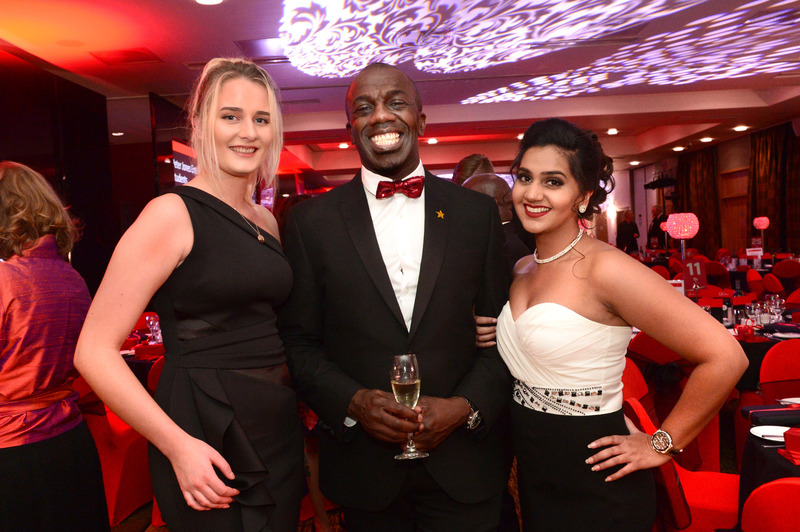 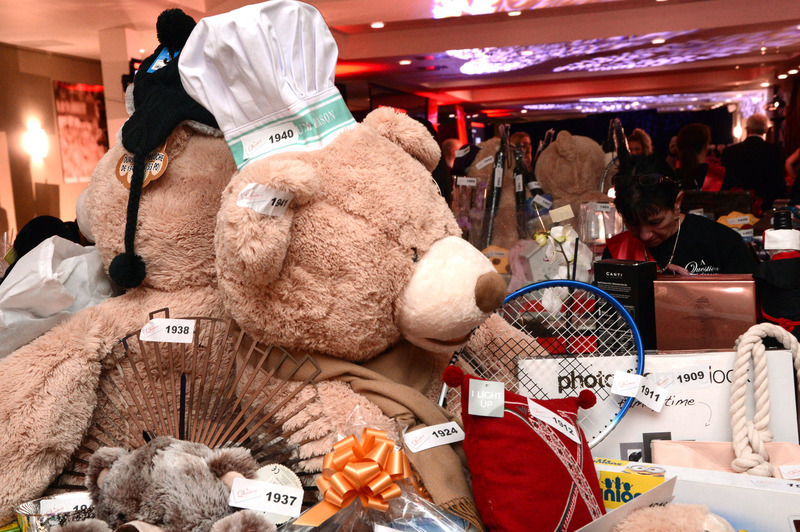 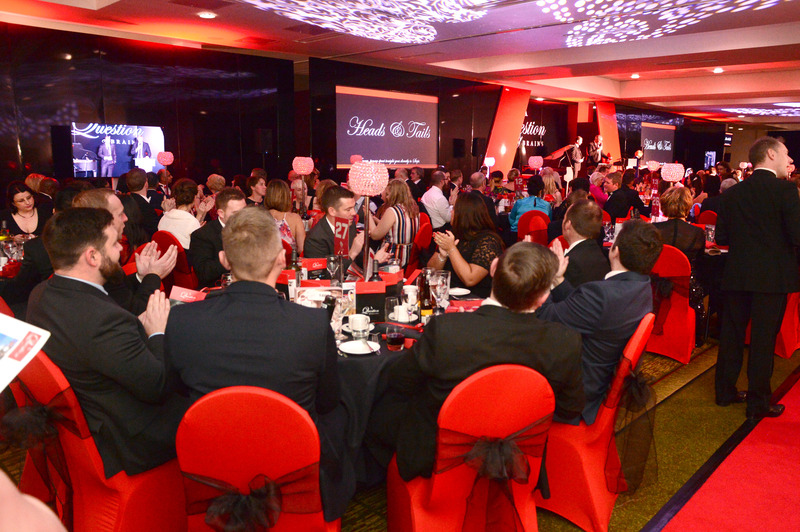 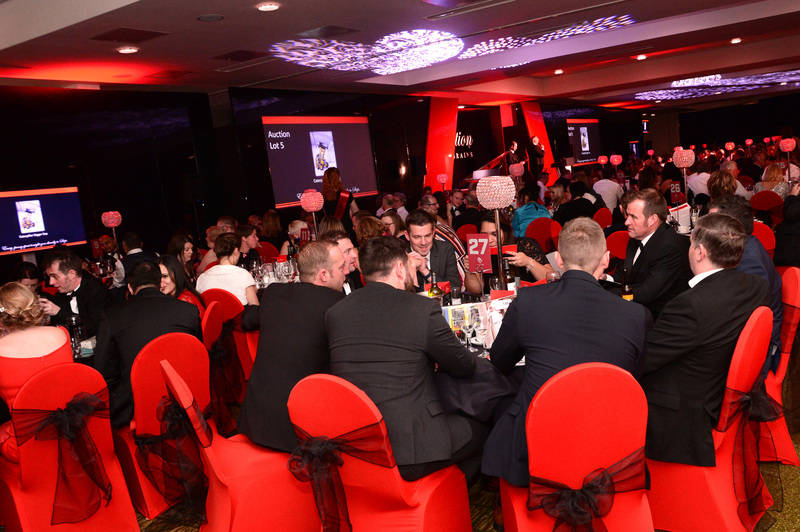 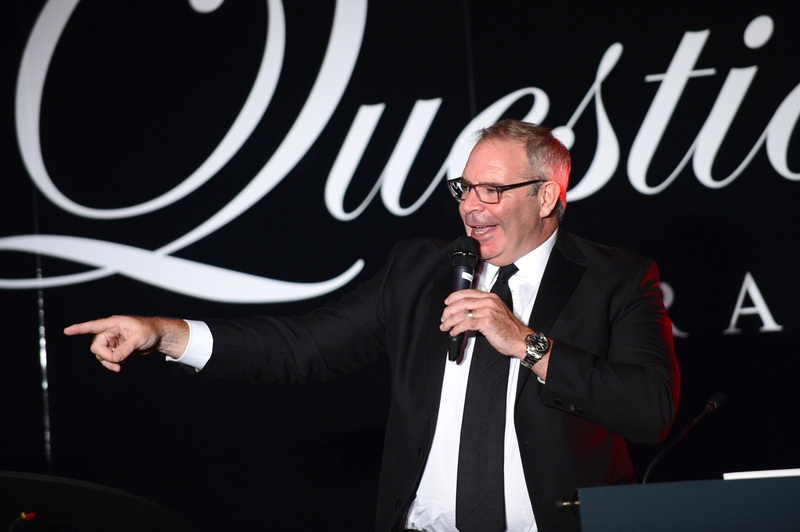 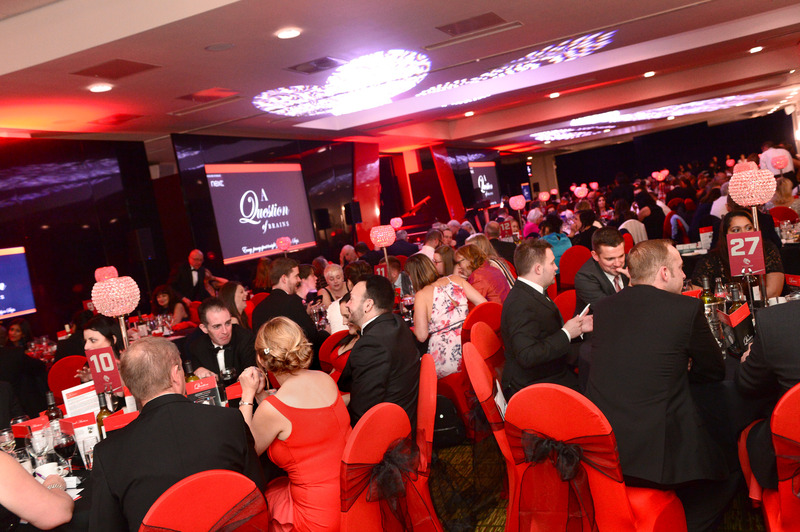 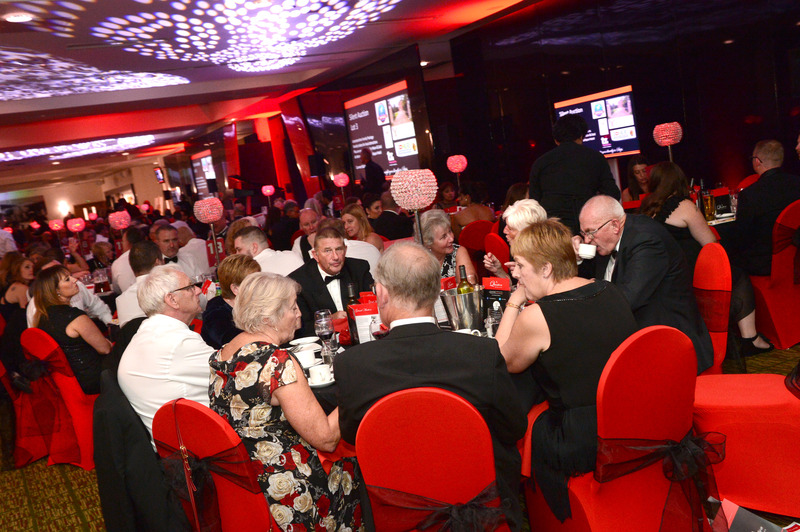 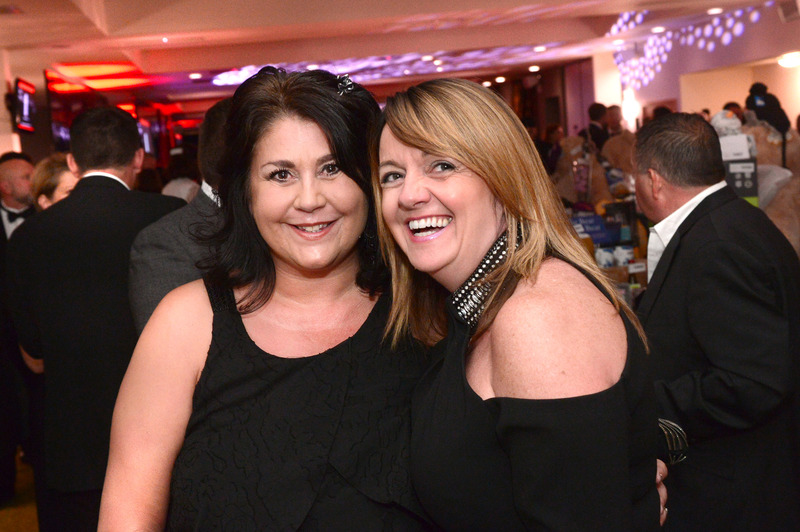 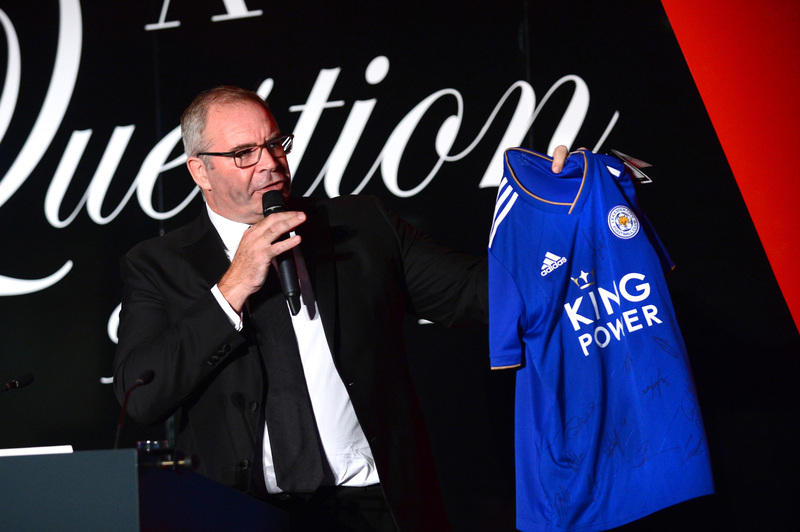 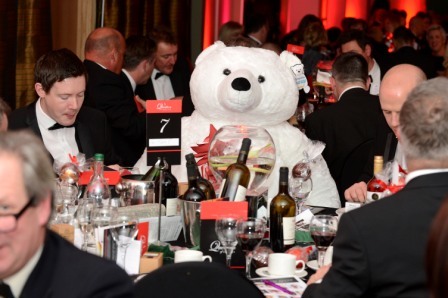 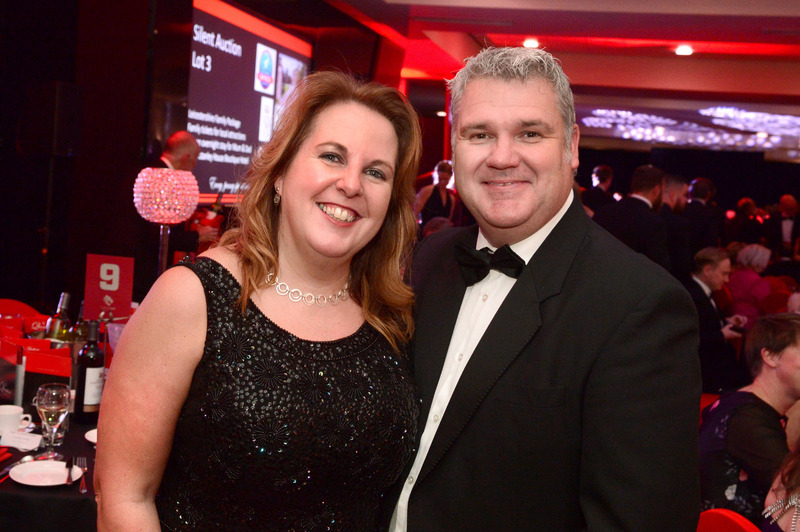 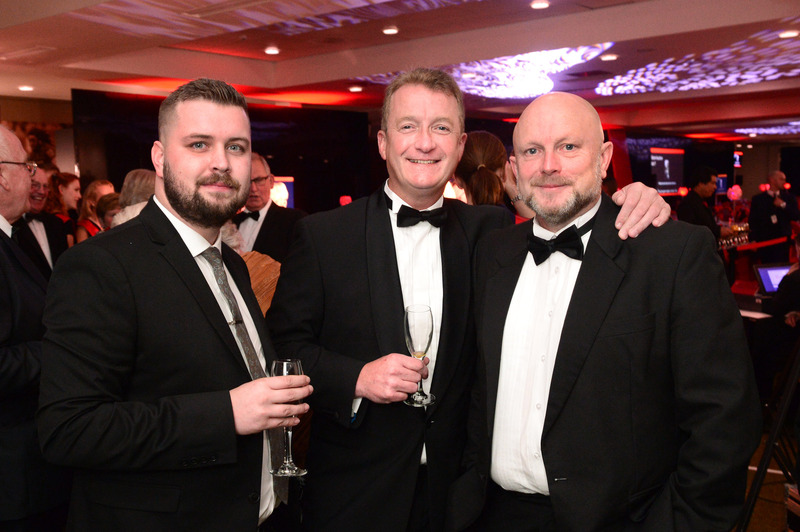 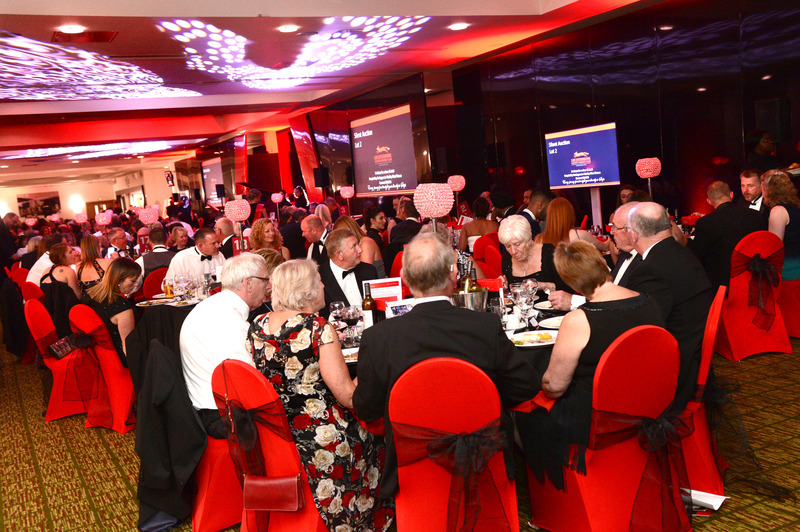 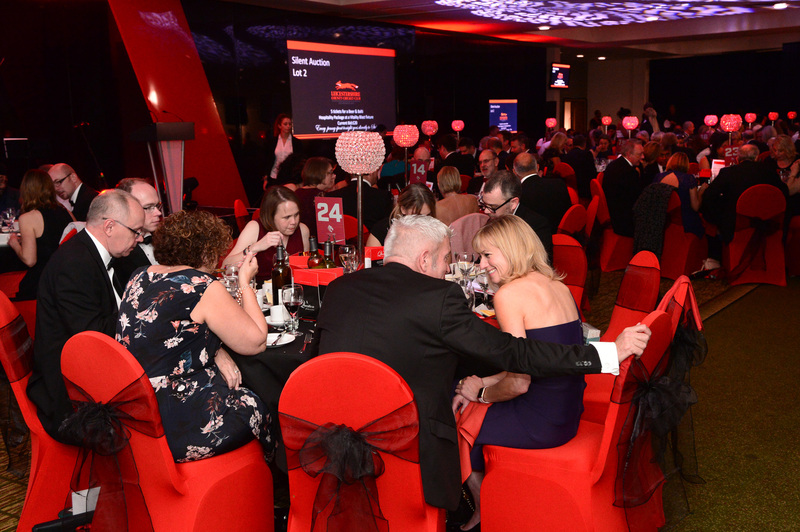 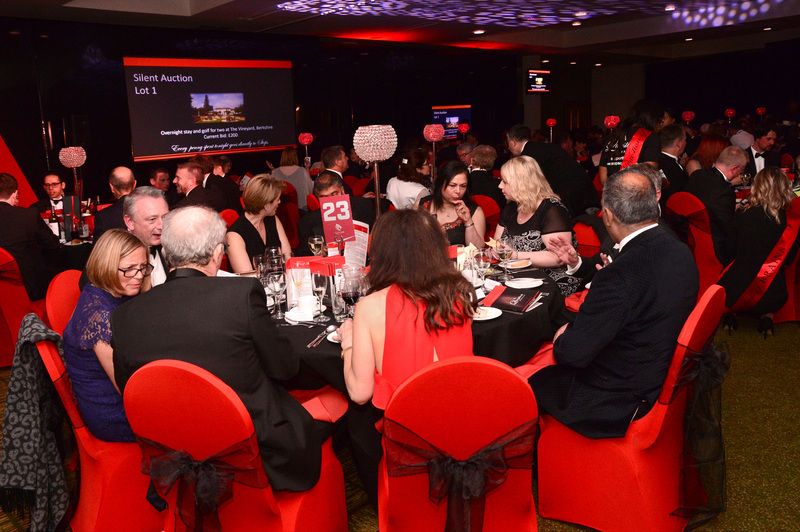 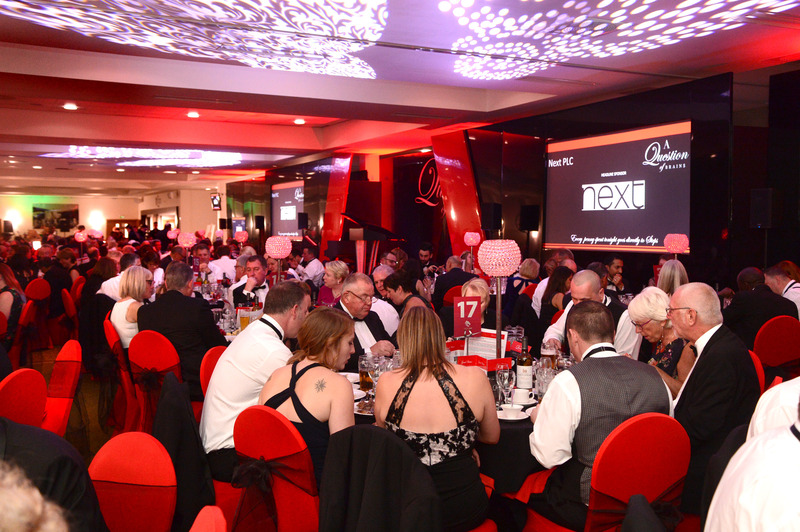 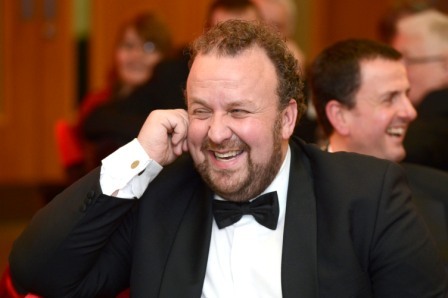 Grand Auction Lots included a Dinner for 20 at Stapleford Park hosted by three Leicester Tigers Players, an opportunity to drive some Caterpillar Diggers during a tour of the factory and a professional makeover and photography session with a world class photographer. 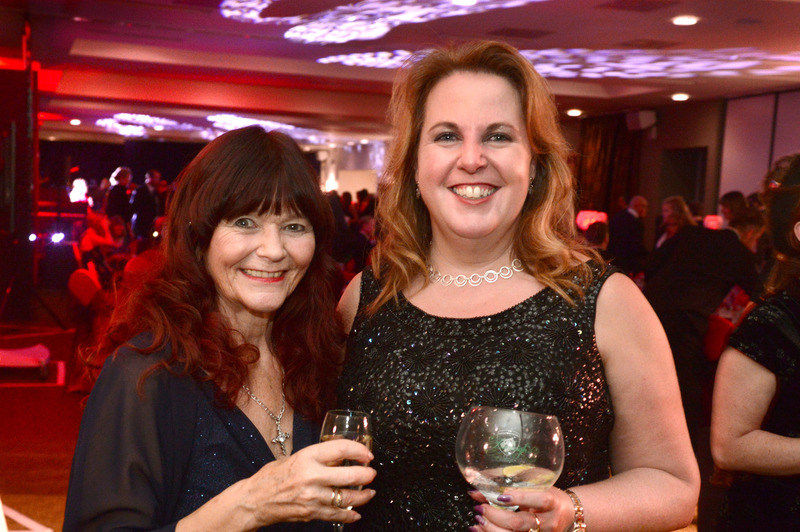 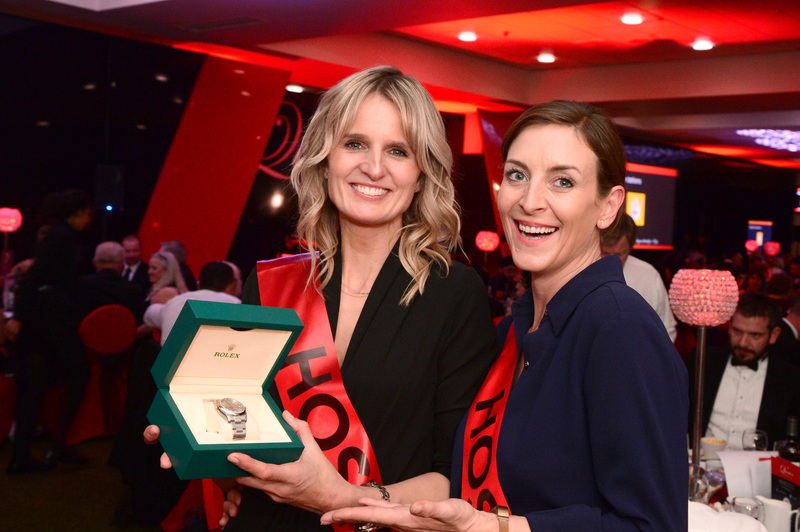 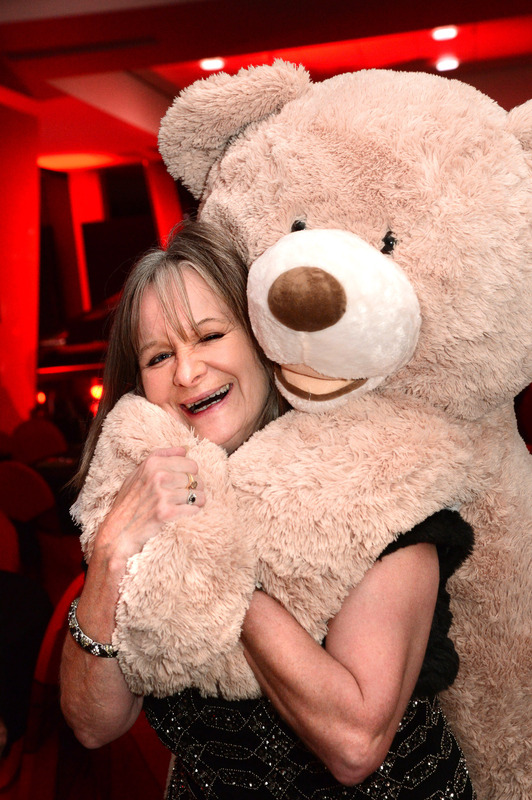 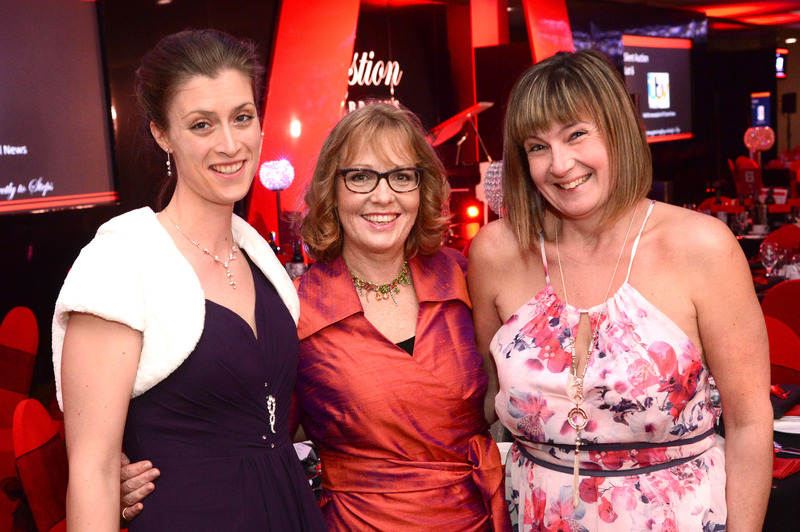 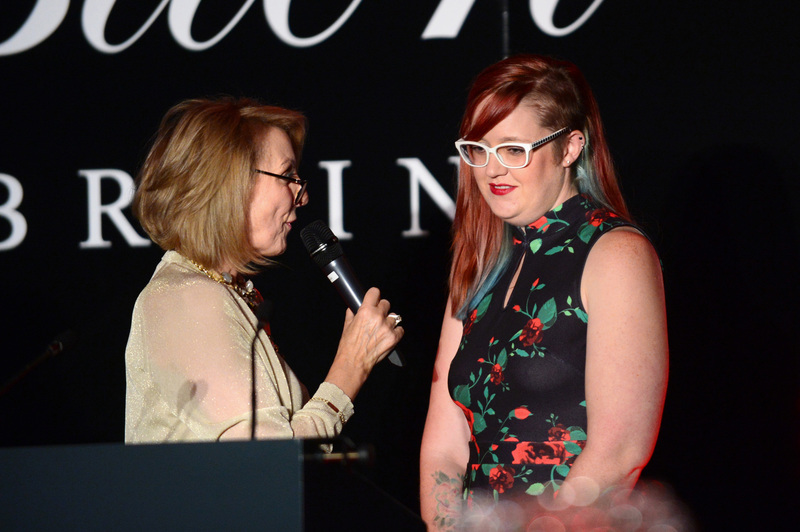 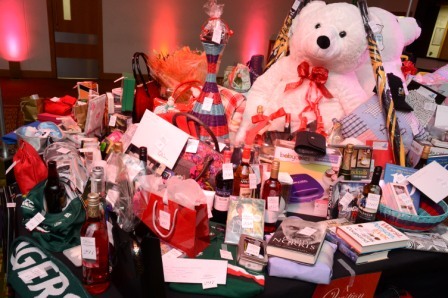 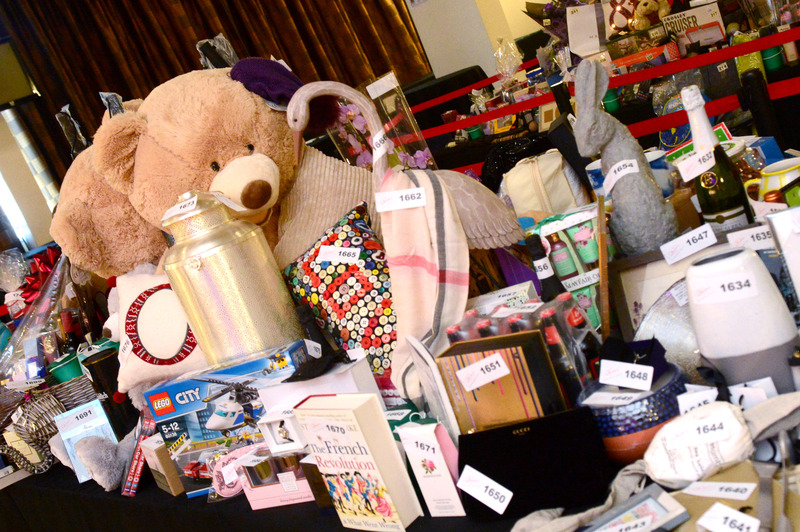 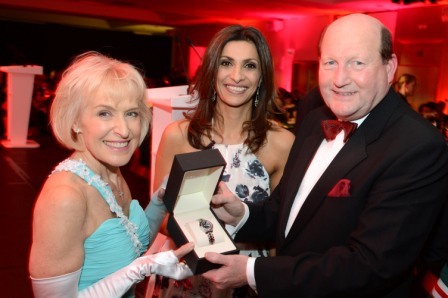 Raffle prizes won by guests included a Diamond Necklace worth £1500, a Pearl Necklace, two CAT Watches, five holidays and a Miu Miu designer handbag. 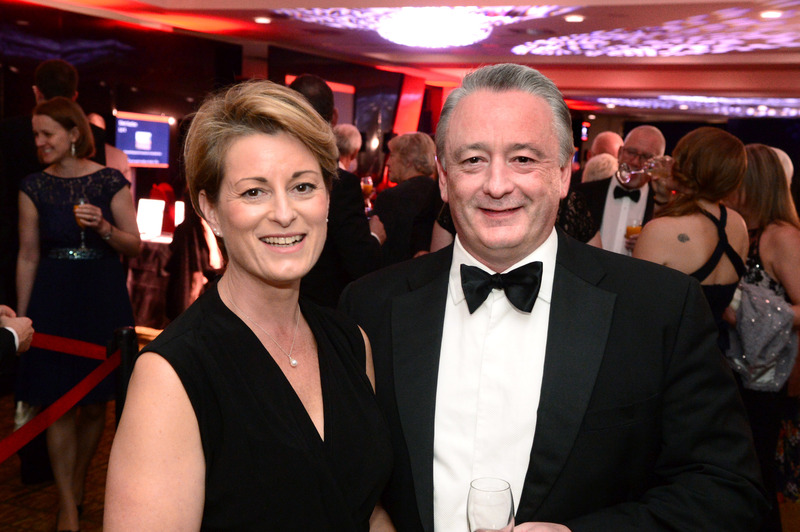 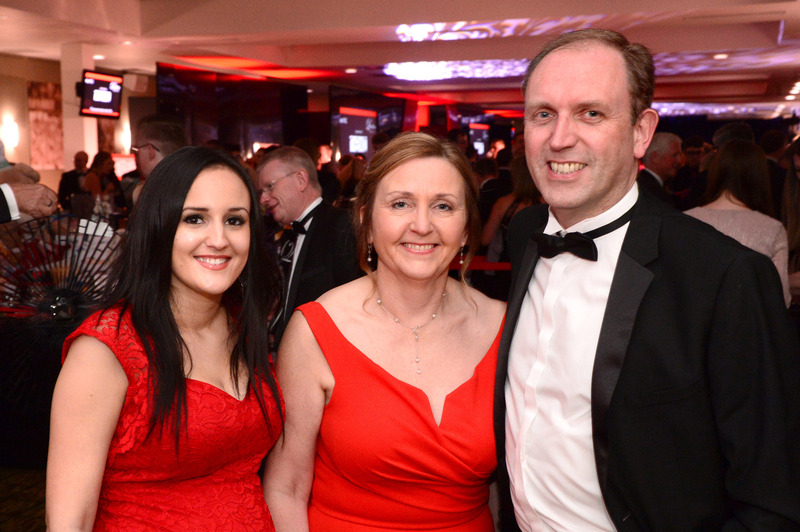 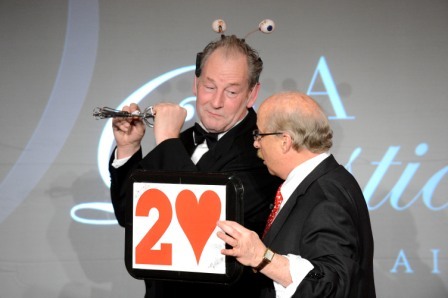 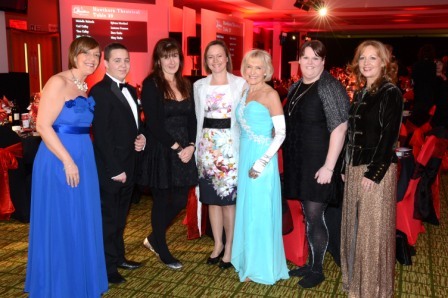 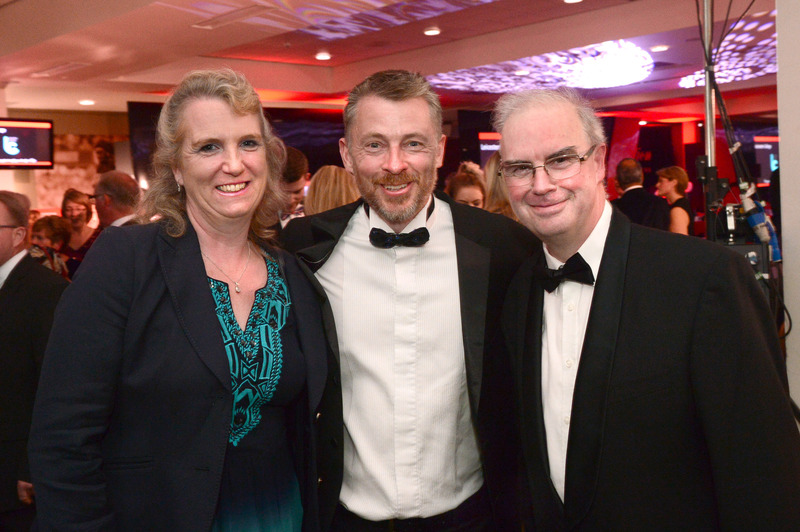 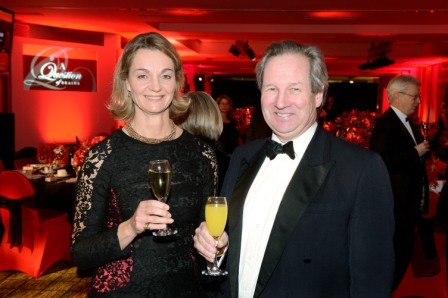 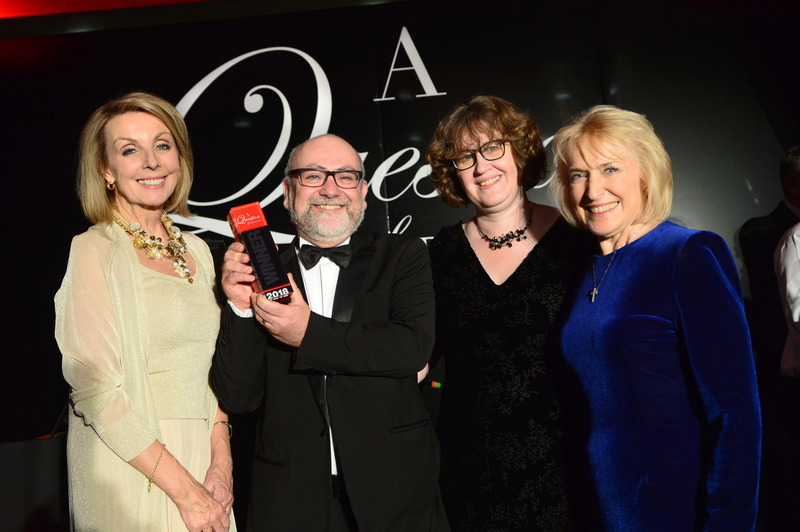 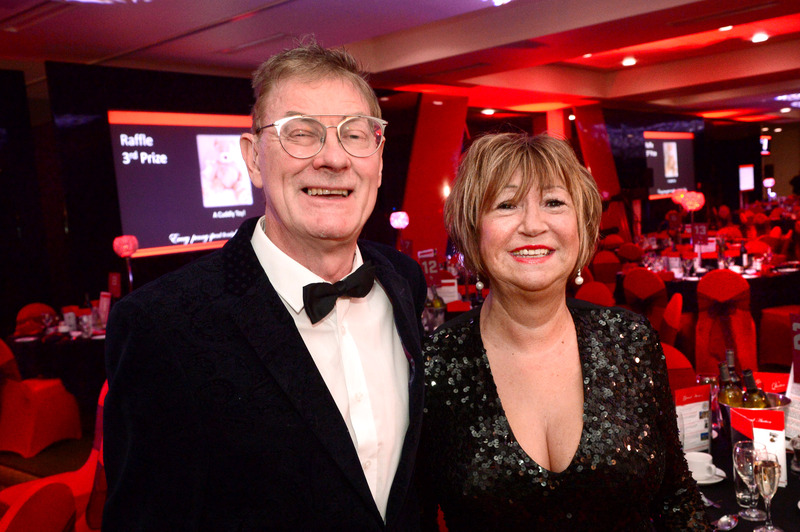 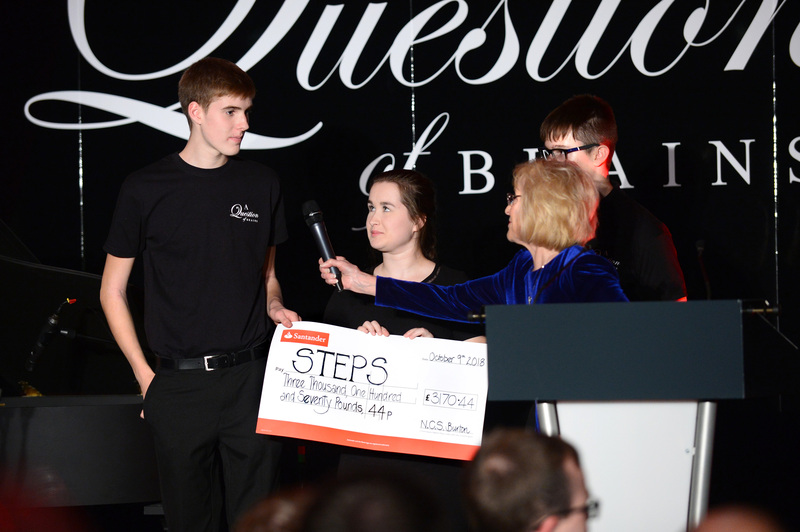 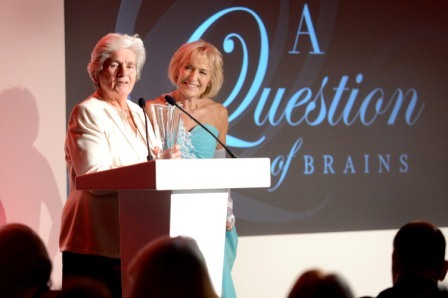 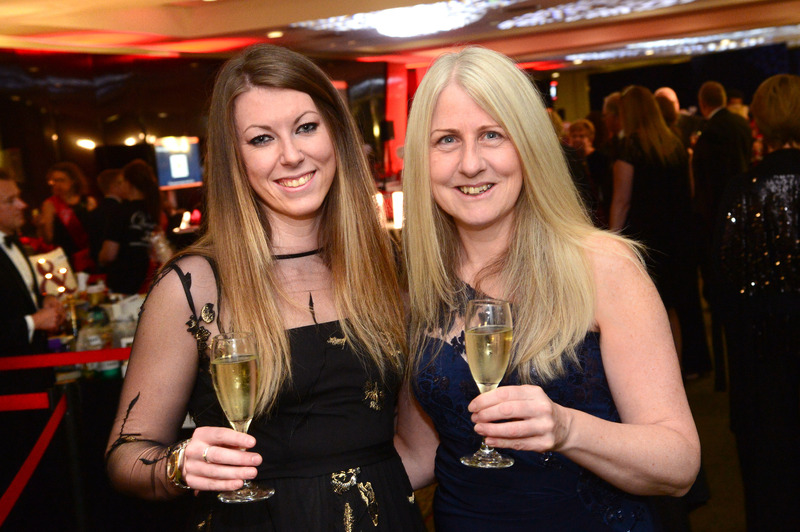 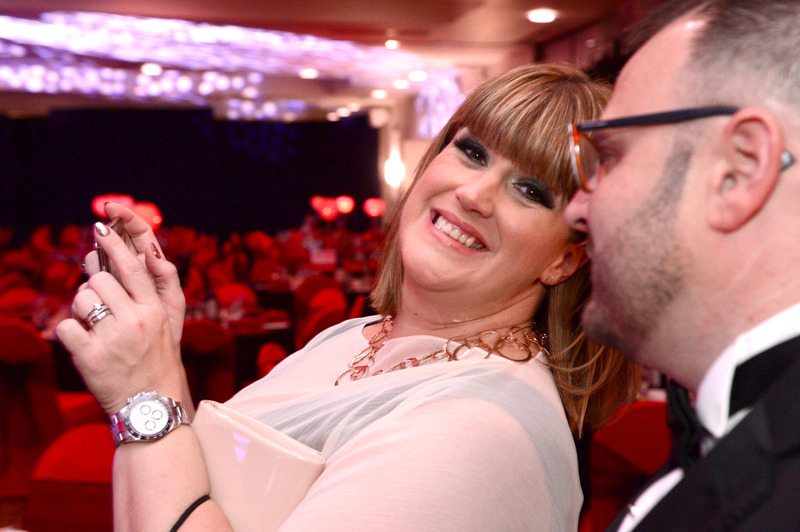 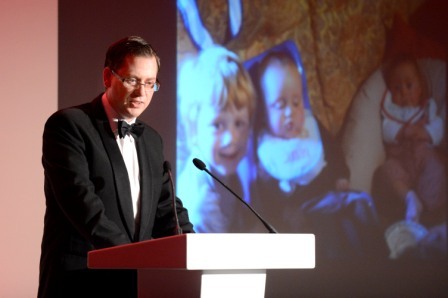 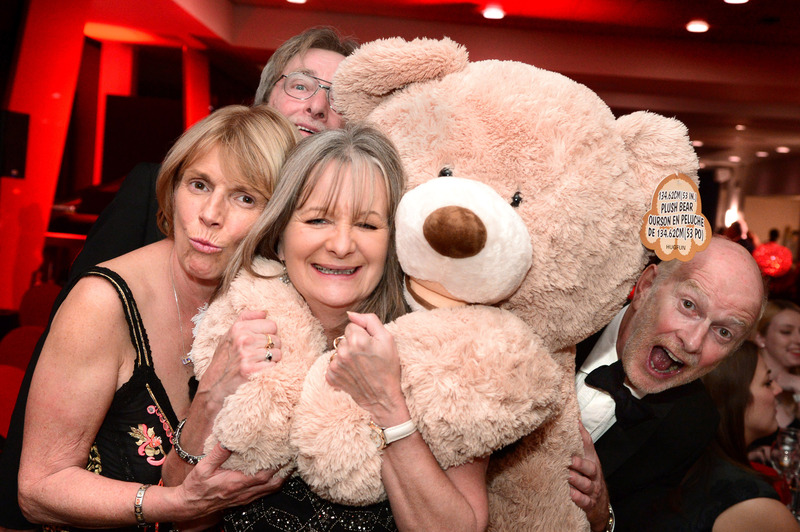 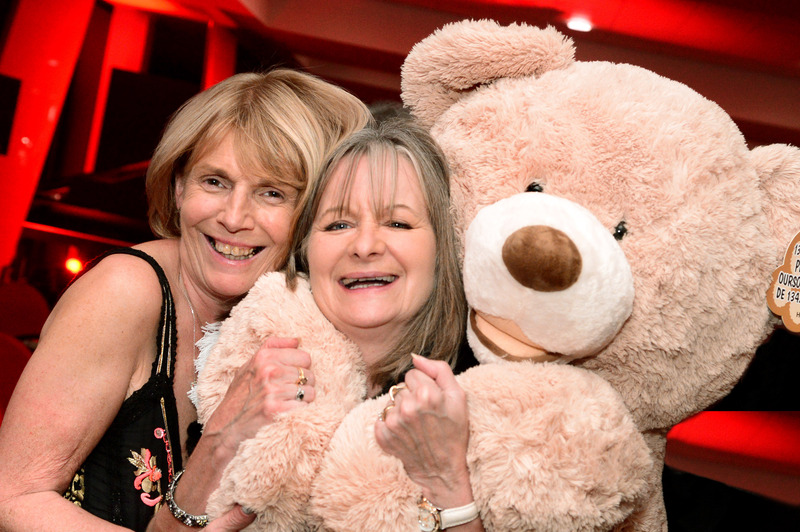 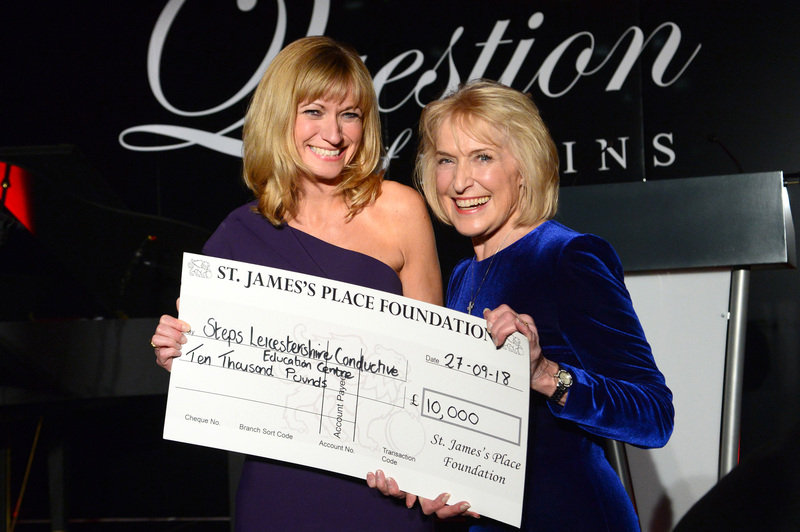 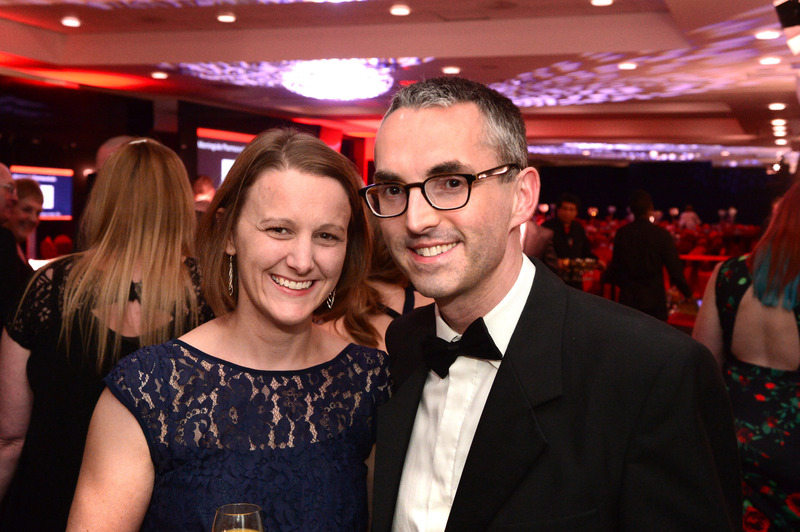 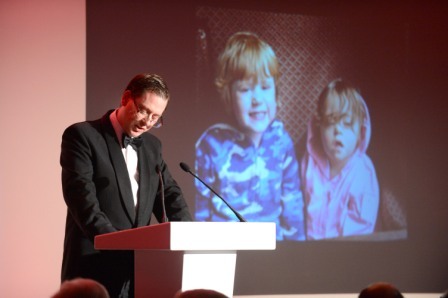 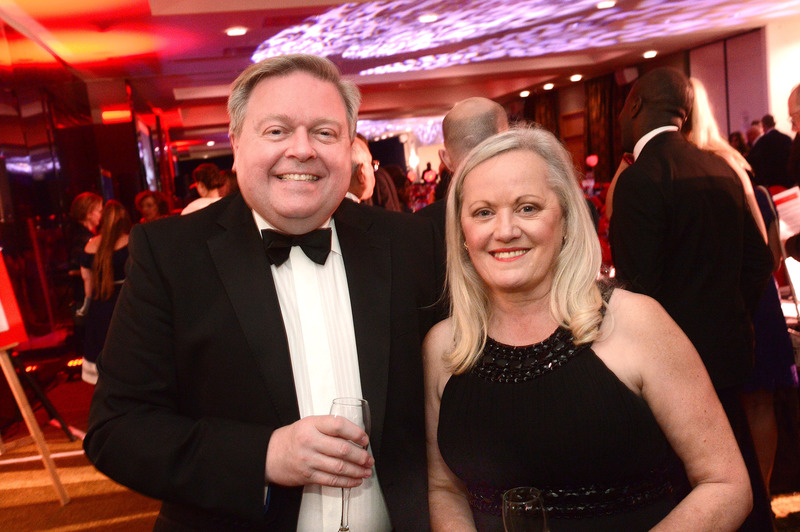 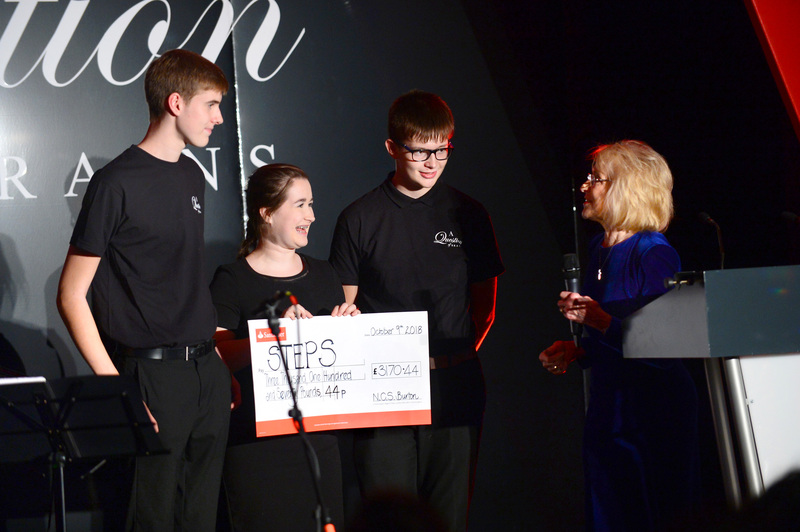 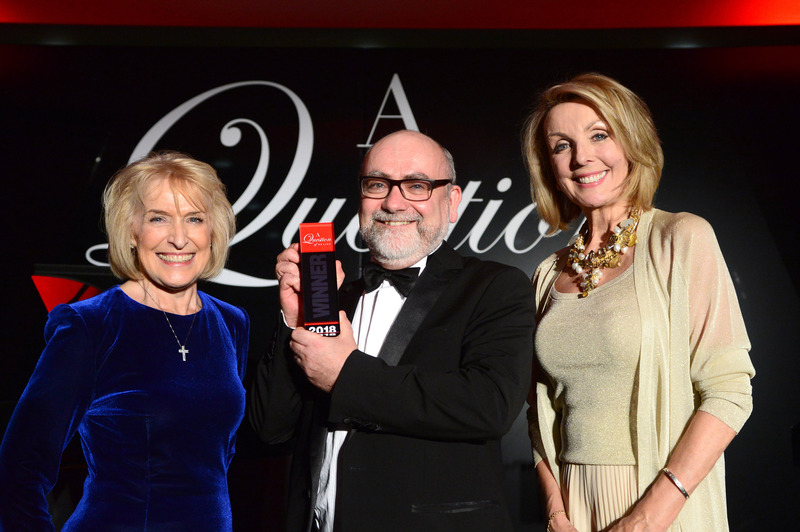 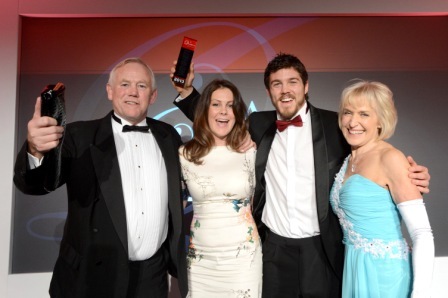 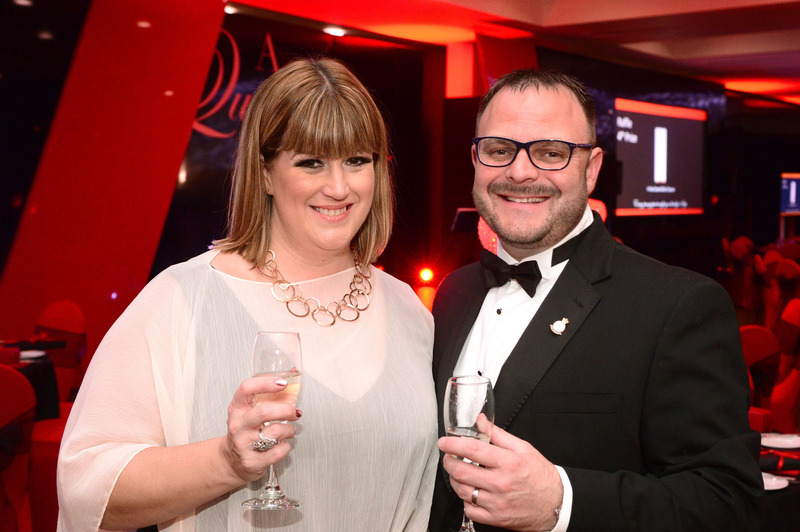 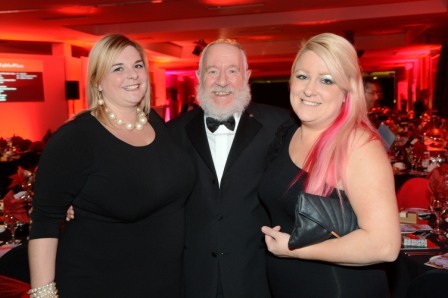 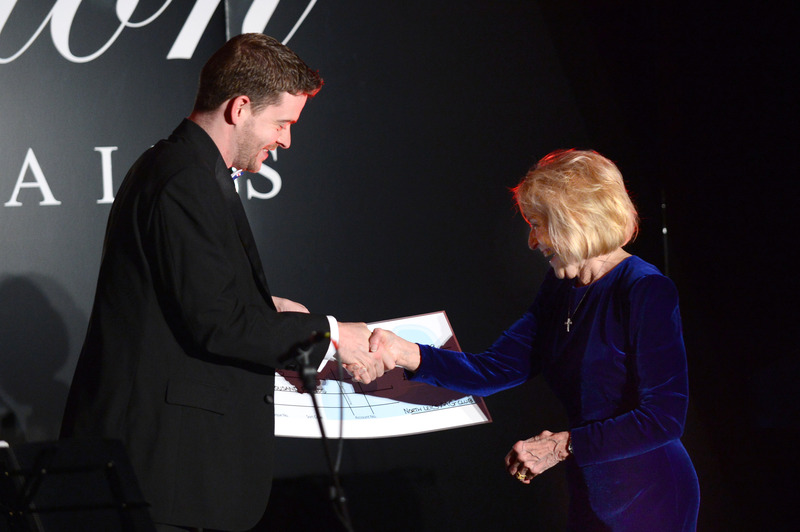 Over £450,000 has been raised for Steps Conductive Education Centre at A Question of Brains since 2012.